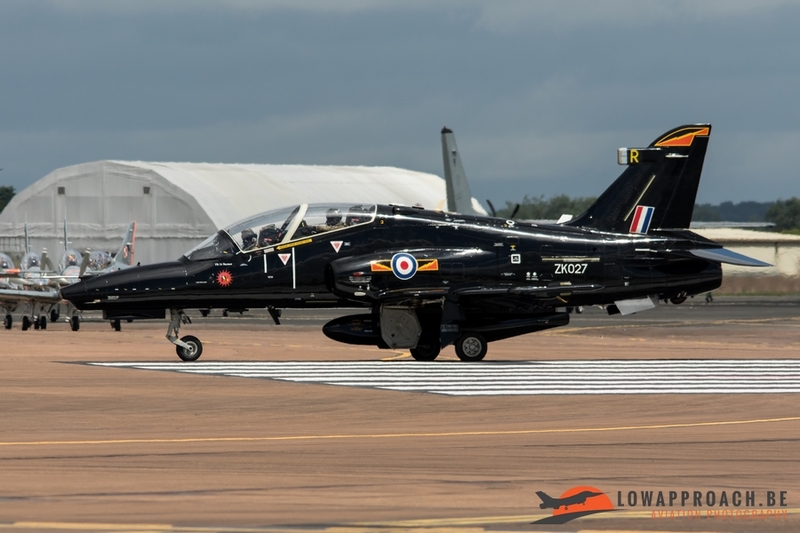 As every year Low Approach also attended The Royal International Air Tattoo in 2016. 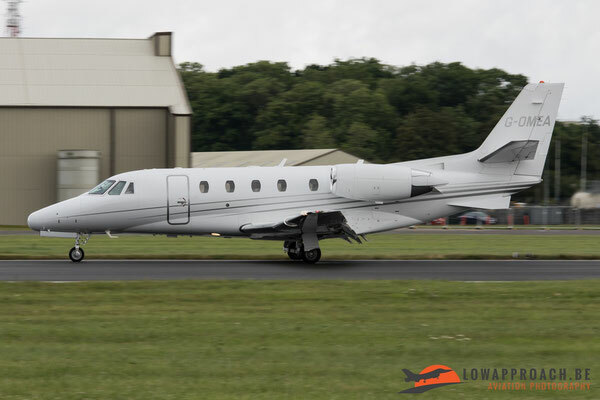 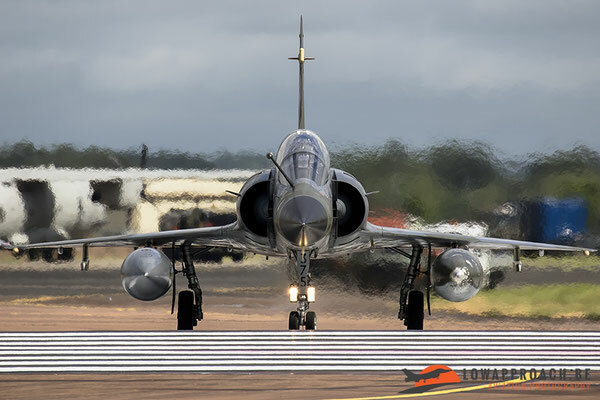 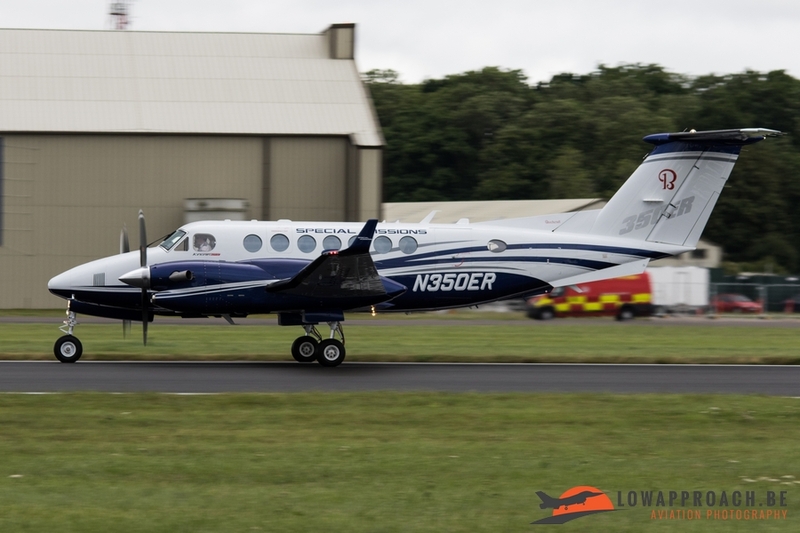 Laurent decided to travel to the UK only for the airshow day on Saturday, the other six Low Approach members attended the airshow day on Sunday and the departure day on Monday. 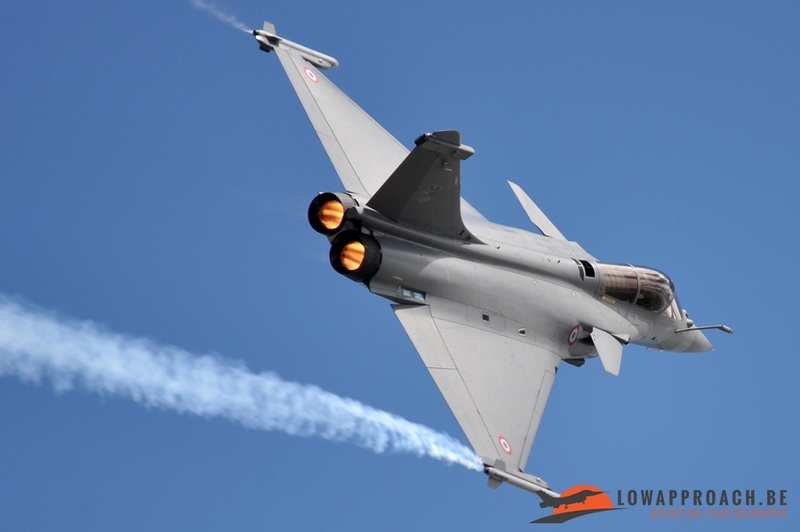 In this report you will find an overview what could be seen on these days. 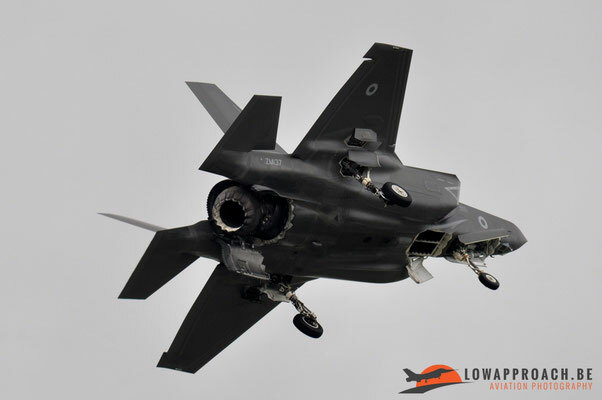 This year’s main theme was 'The Next Generation', which witnessed the debut of the most advanced weapons systems platform in the world - the futuristic looking Lockeed Martin F-35A/B Lightning II with examples from the Royal Air Force, United States Marine Corps and the United States Air Force. Another theme was the 75th Anniversary of the Air Cadets. 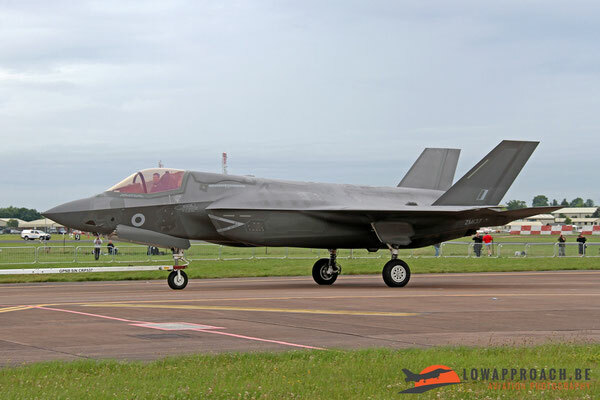 We start this report with the F-35A/B that made his debut for crowd in the UK. 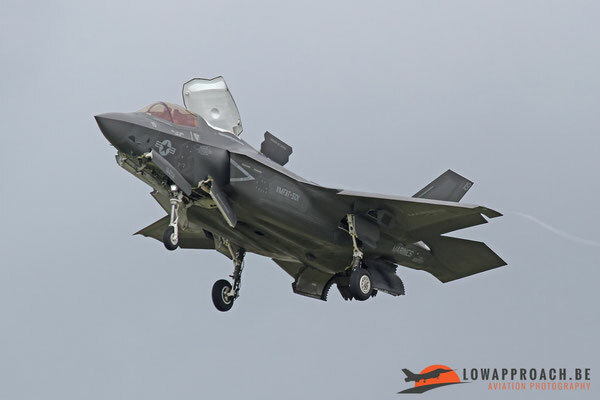 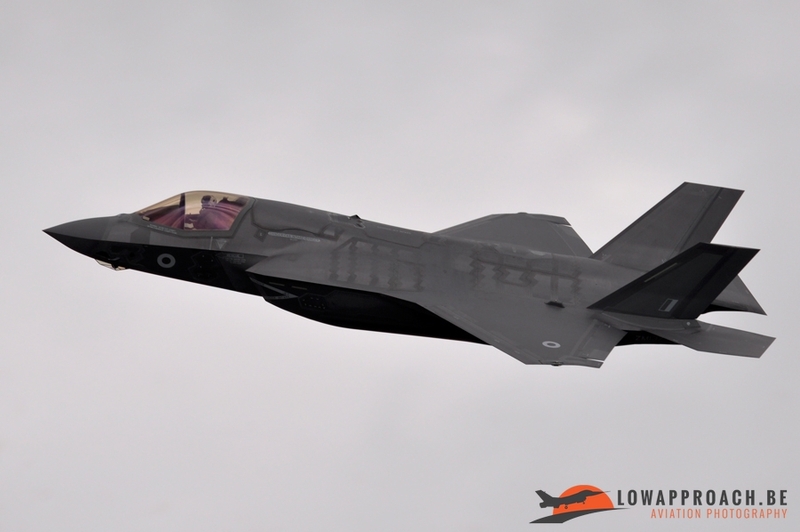 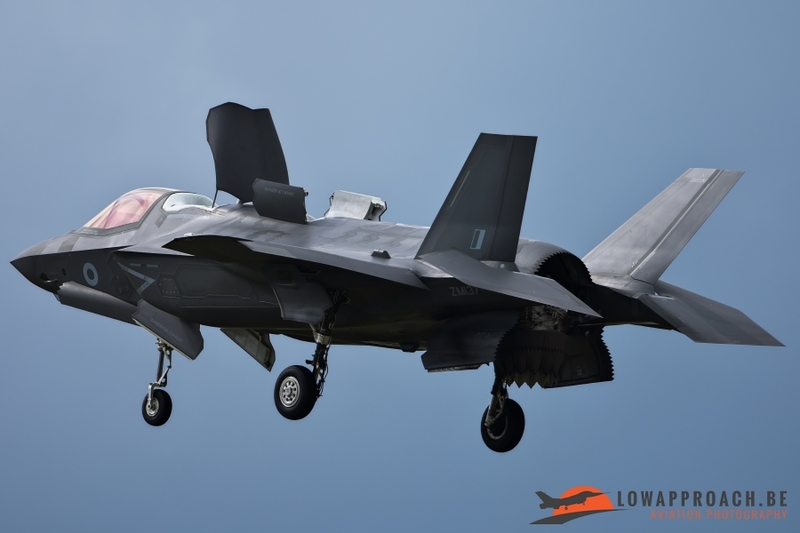 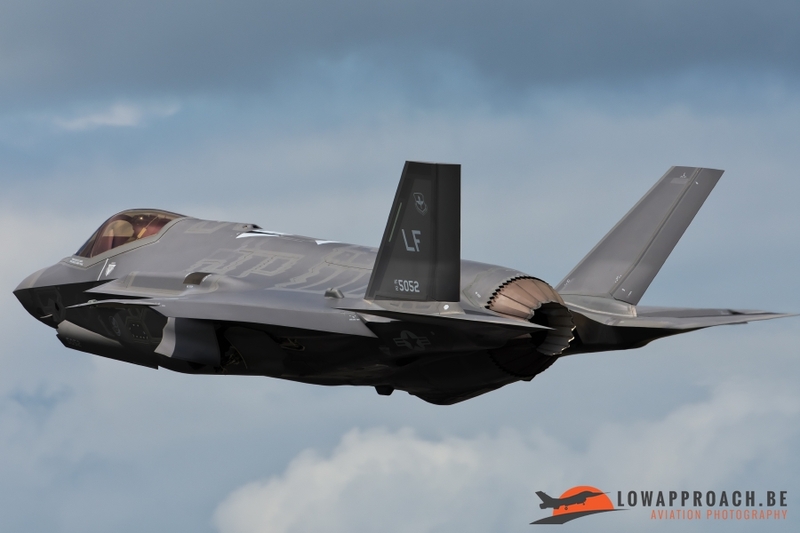 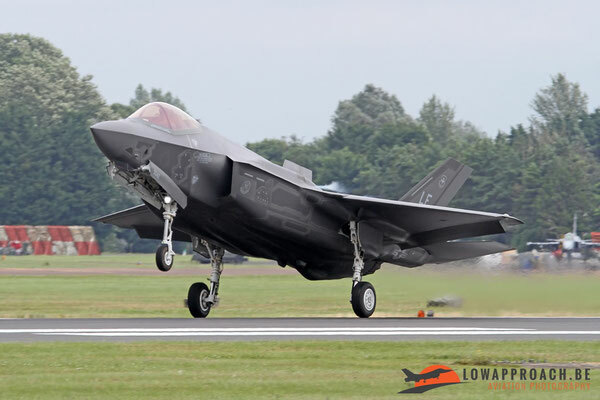 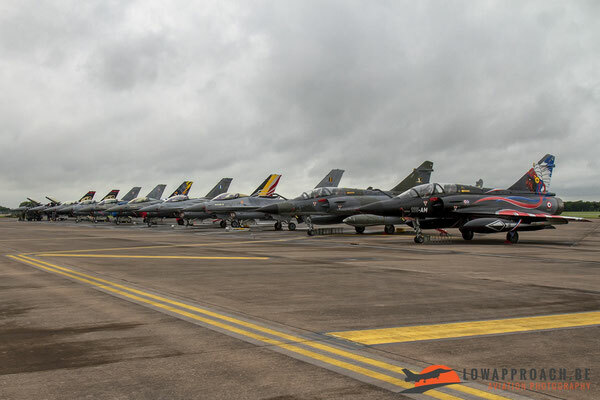 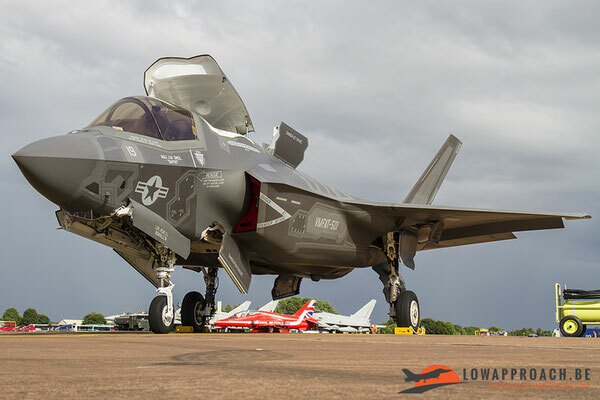 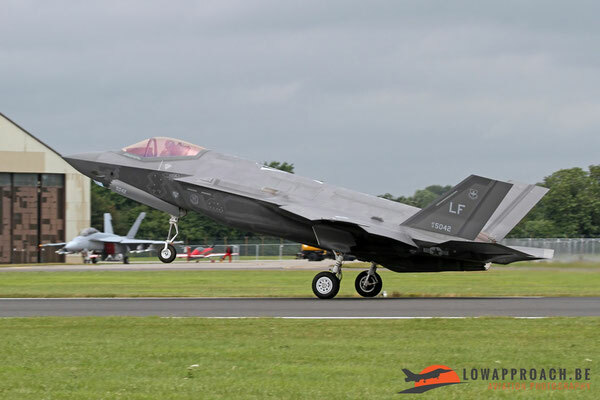 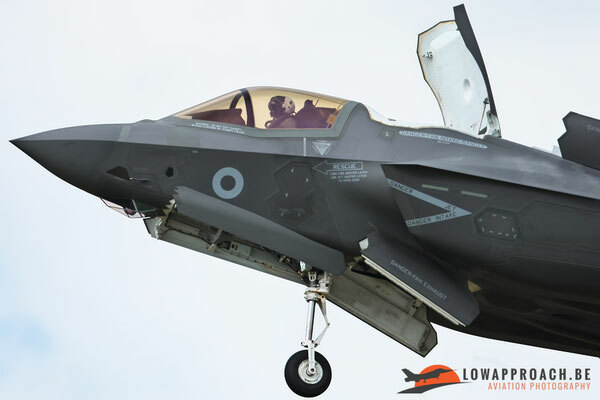 The first time that the F-35 could be seen in Europe during an airshow was a month before the RIAT during the Open Days in Leeuwarden, at this airshow 2 F-35A’s were present from the Royal Netherlands Air Force. 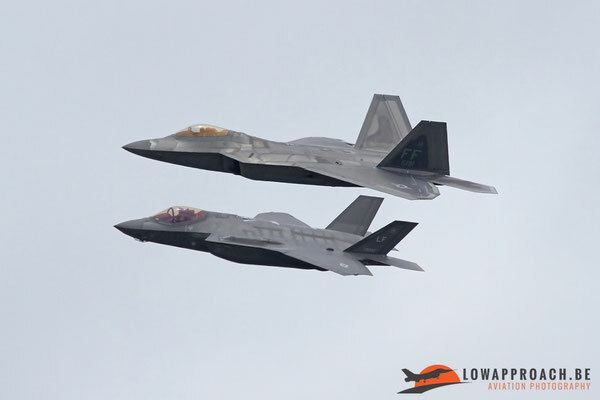 But as already mentioned, in Fairford we could see 2 different types flying and performing. 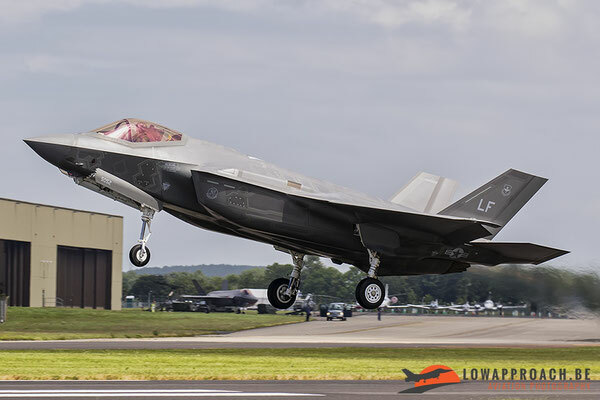 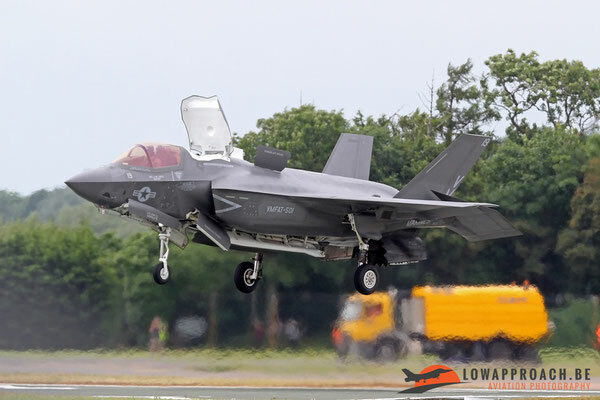 On Saturday the F-35B from the USMC did their display with the vertical landing performance and on Sunday the same was done by the F-35B Lightning II from the Royal Air Force. 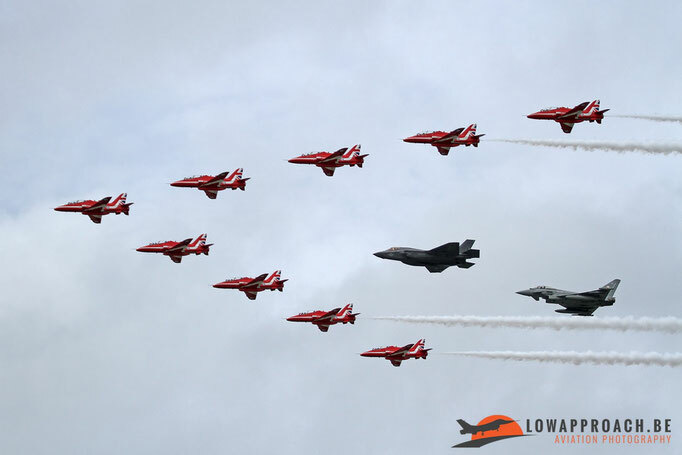 This was a very impressive sight. 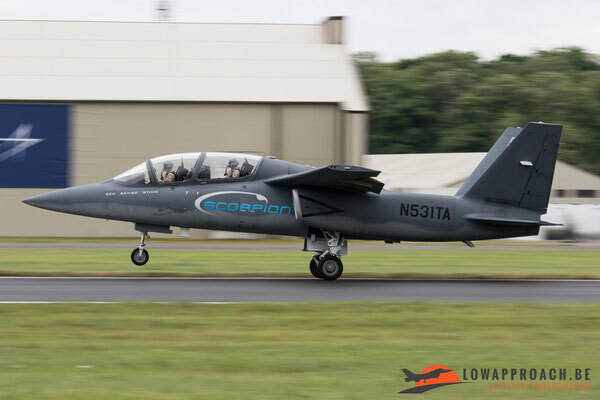 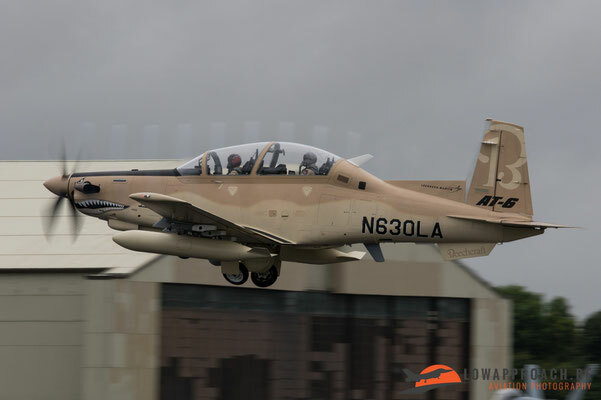 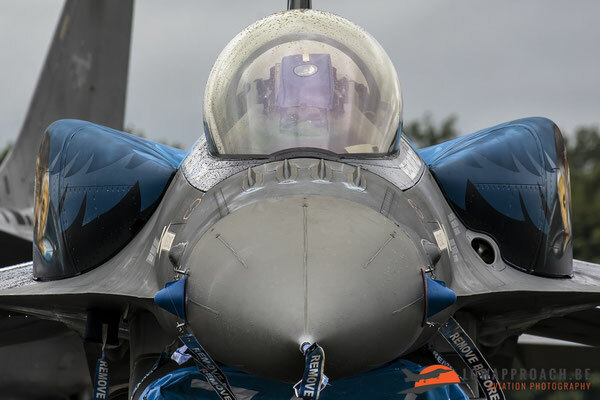 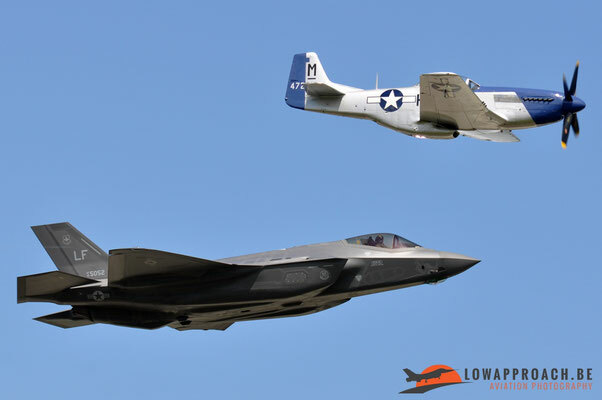 Also the USAF presented their F-35A with a demo and a heritage fly-past on Saturday with the impressive F-22 Raptor and on Sunday with the North American P-51 Mustang. It was planned that also the F-22 Raptor should participate in this fly-past but he had to deal with technical problems and cancelled for the heritage flight. 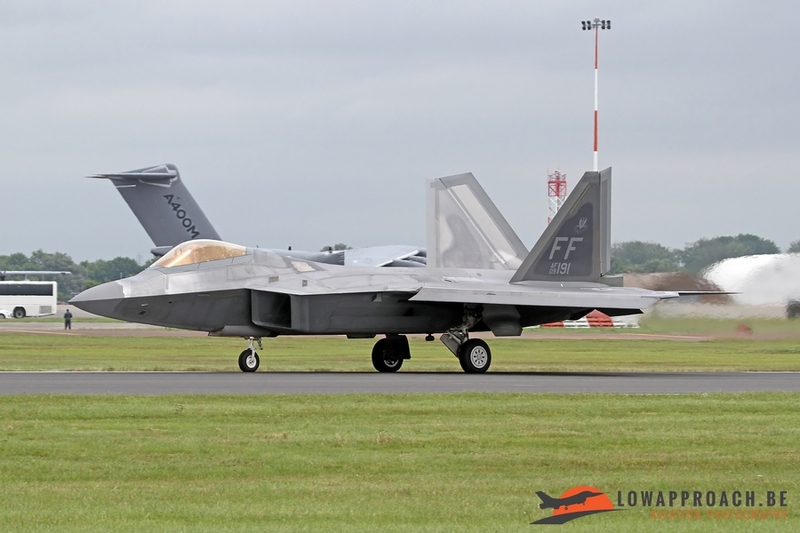 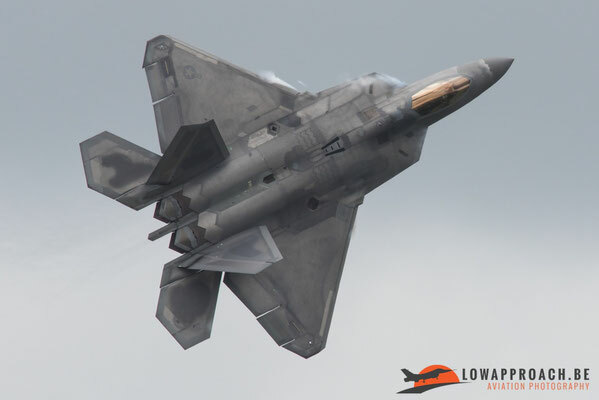 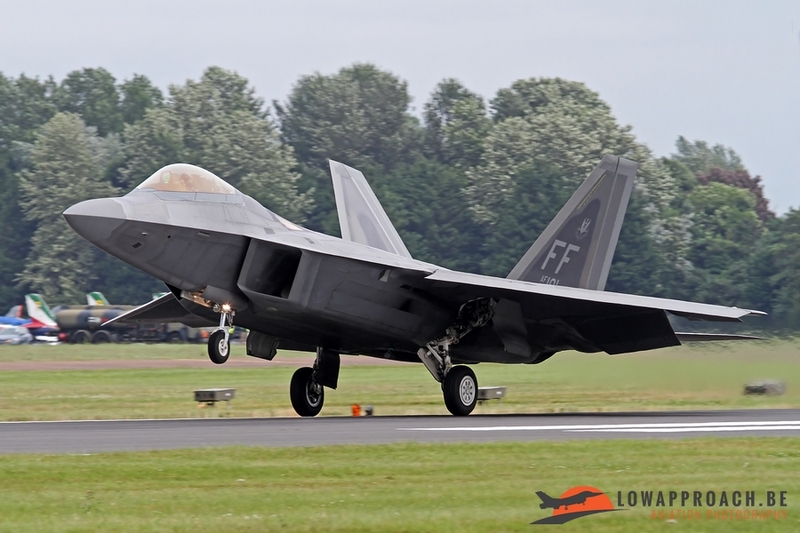 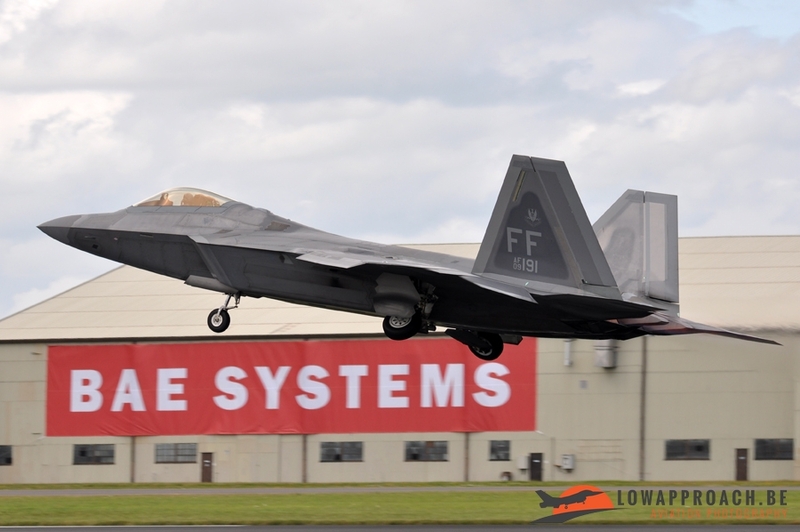 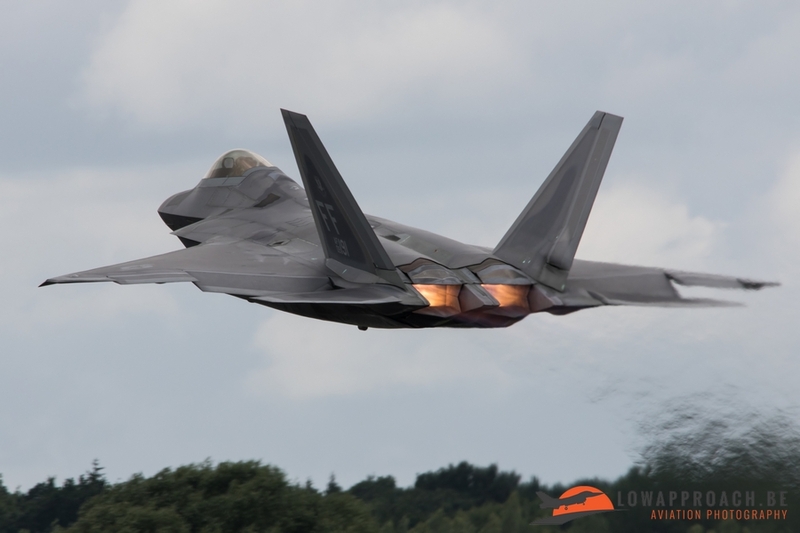 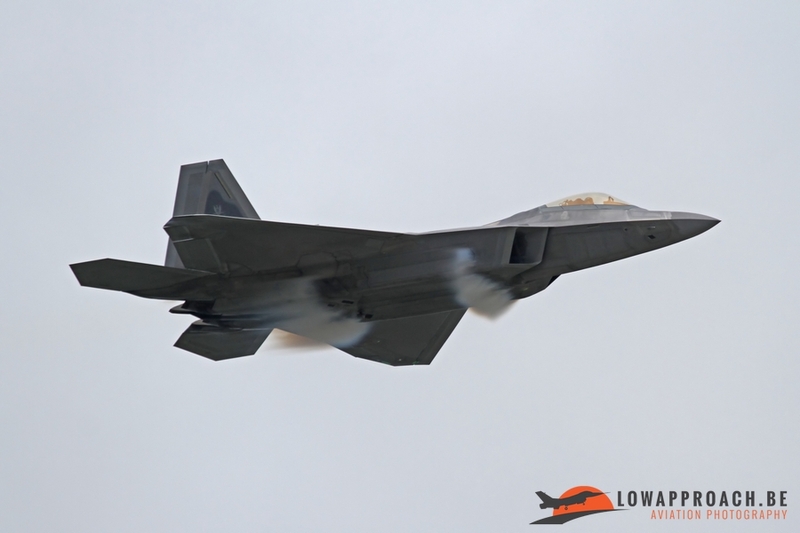 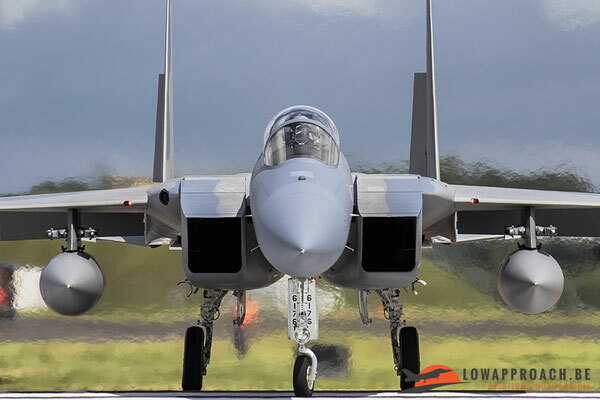 The demo that we were most curious about was that from the F-22A Raptor : The Lockheed Martin F-22A 'Raptor' is a fifth-generation single-seat, twin-engine, all-weather stealth tactical fighter aircraft developed for the United States Air Force. The display can be described as powerful, aggressive and fast. Unfortunately on Sunday the demo was cut short due to technical problems. 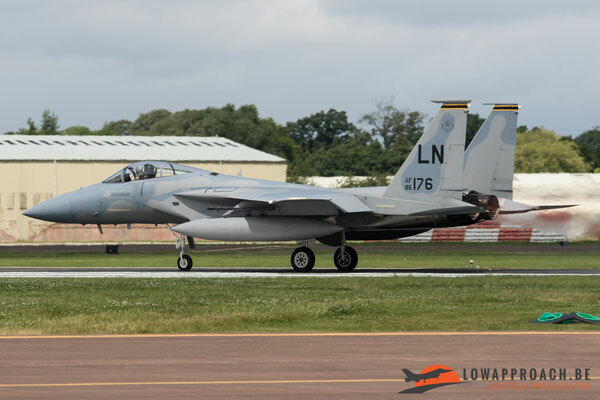 The USAF attended the Air Tattoo with a large delegation in 2016. 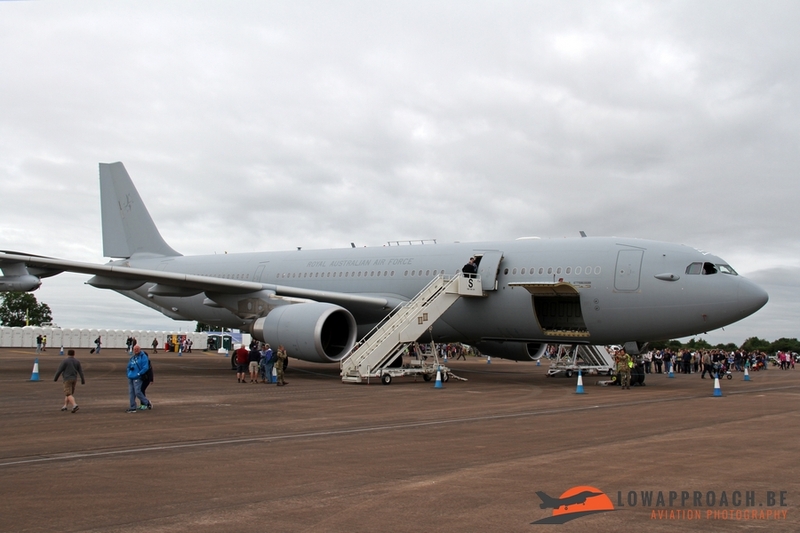 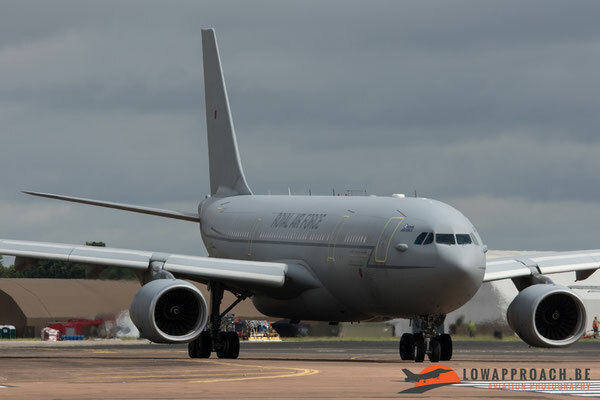 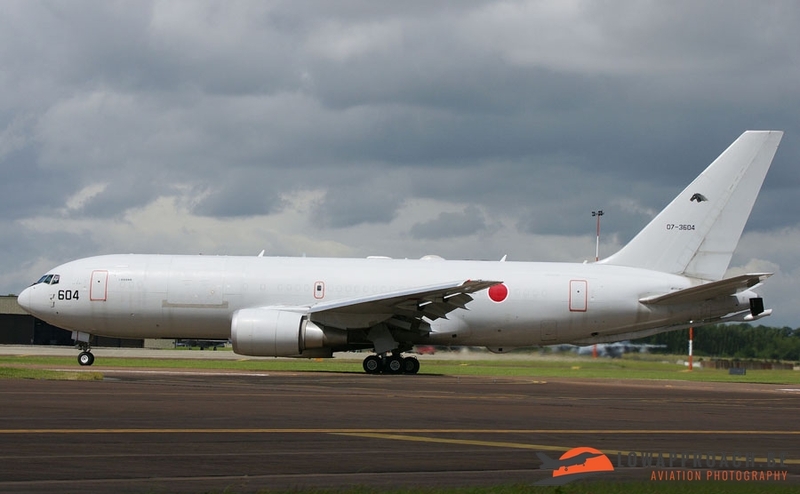 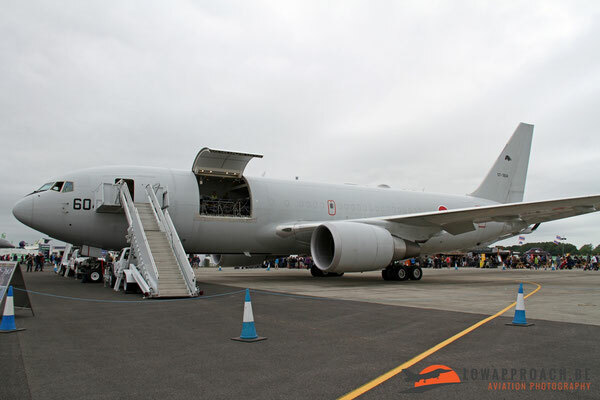 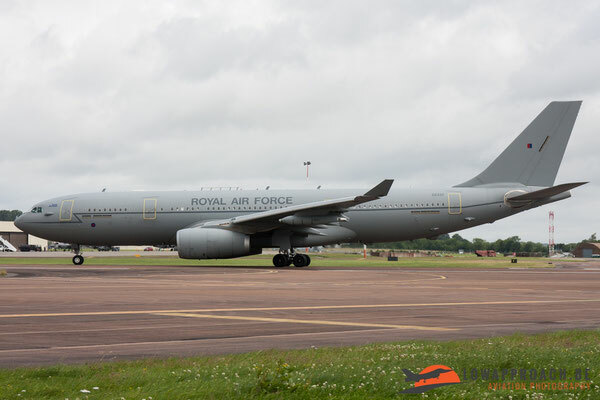 Besides the F-22A and the F-35A and B versions, they also presented the KC-135 Stratotanker and this one joined the other tankers in the static such as the Royal Air Force A330MRTT Voyager, the Royal Australian Air Force A330MRTT and the Japanese Air Self Defense Force with the Boeing KC-767J. 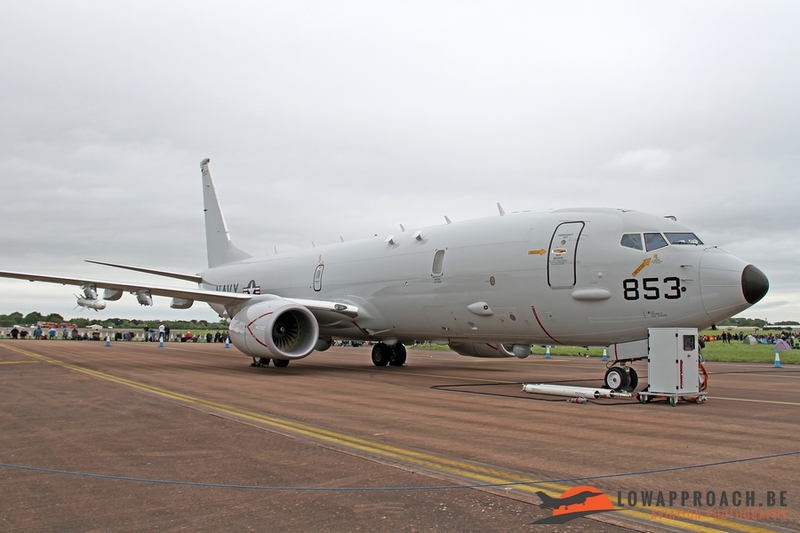 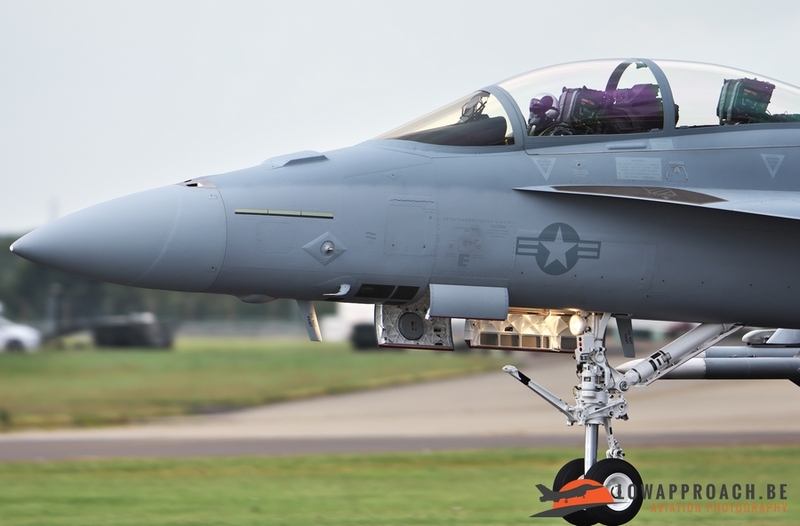 The US Navy sent a Boeing P-8A Poseidon for the static display and for the flying display they presented their Boeing F/A-18F Super Hornet demonstrated by Boeing test pilots, Sadly, this demo was one of the least good ones. 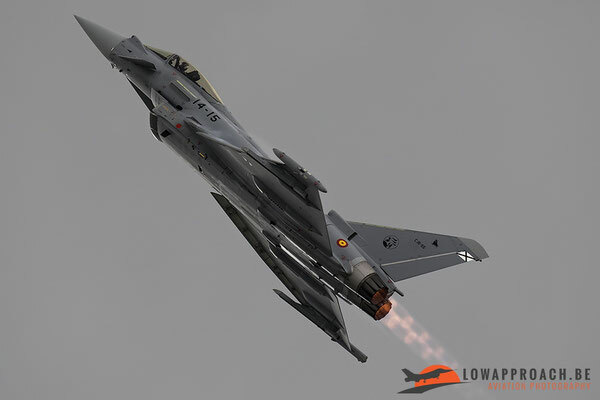 The demo was performed on a very high altitude and pretty far away. 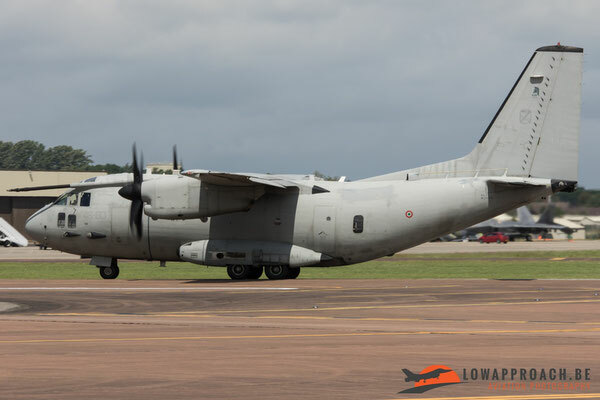 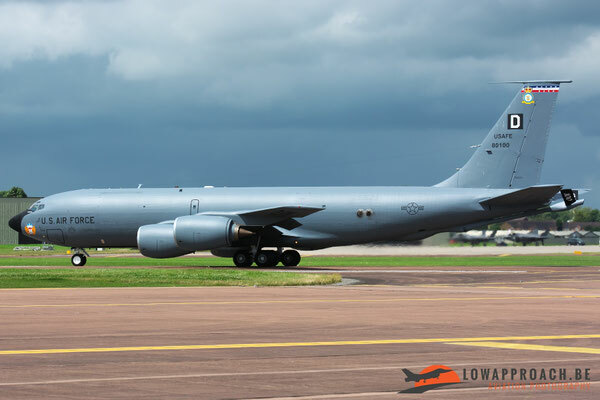 Also the USAFE (United States Air Force Europe) sent some aircraft to Fairford. 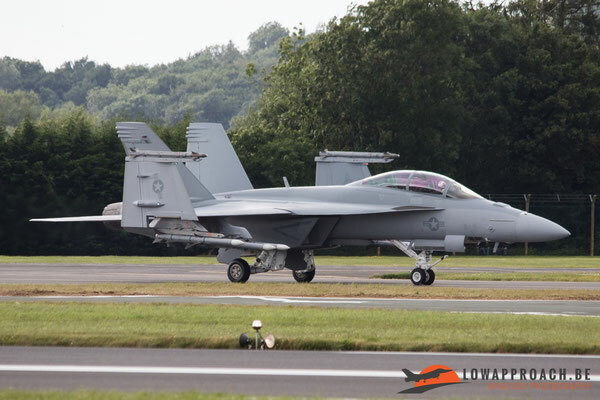 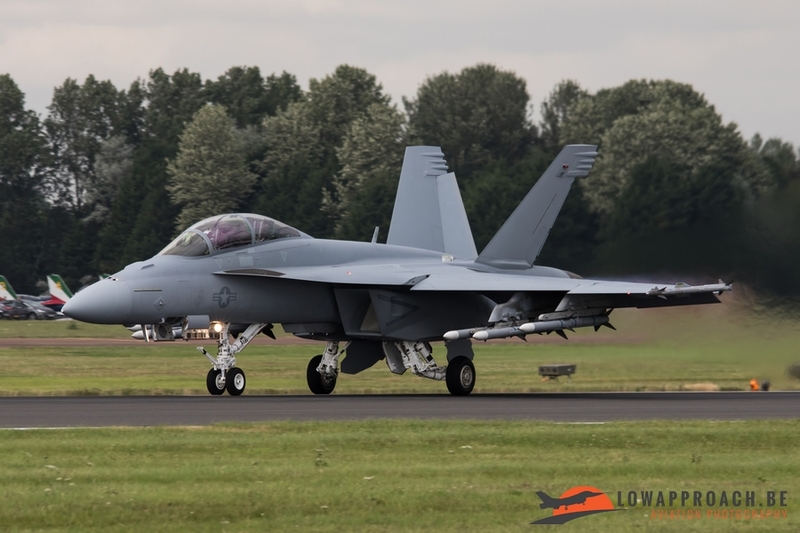 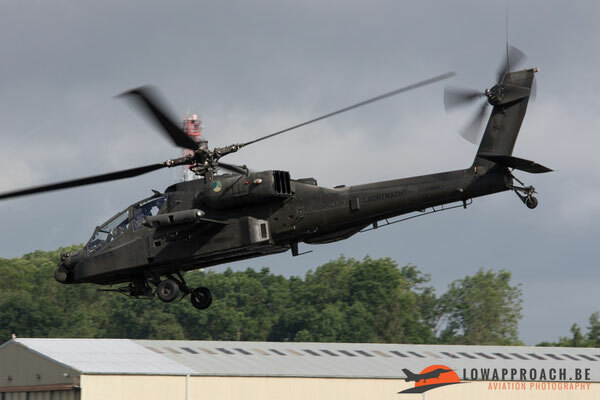 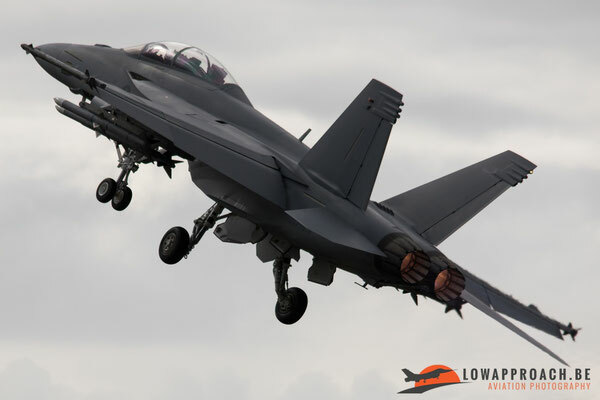 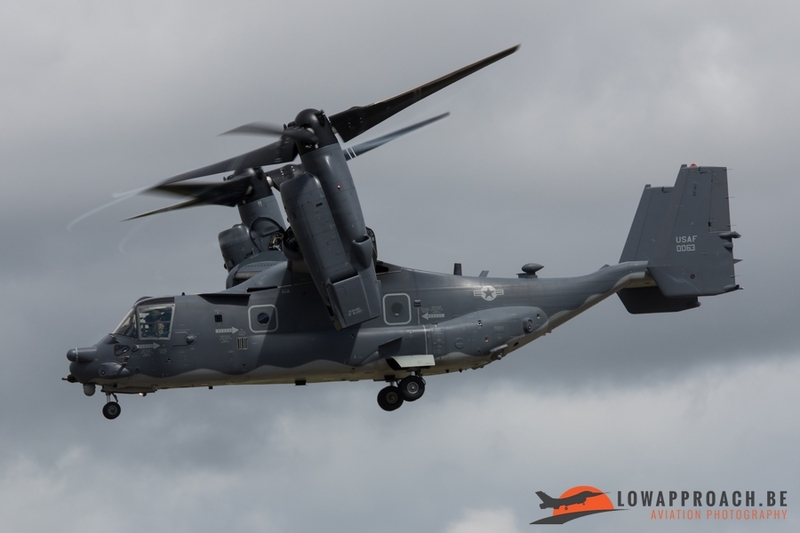 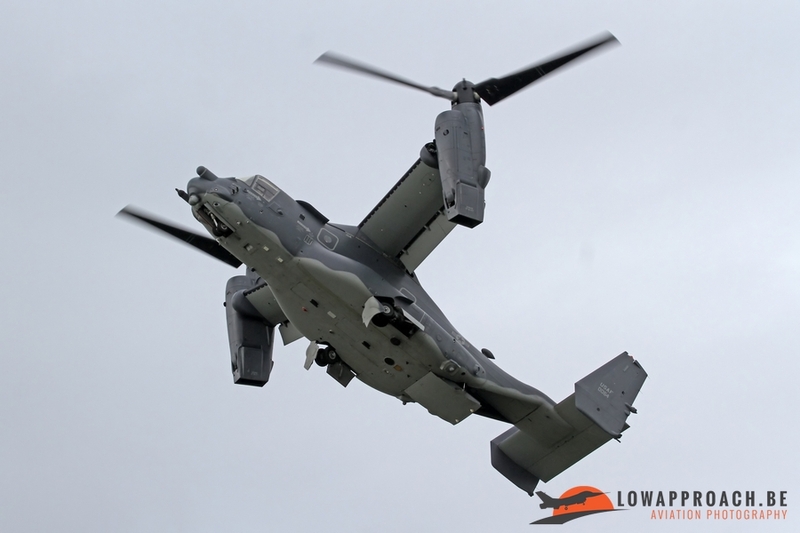 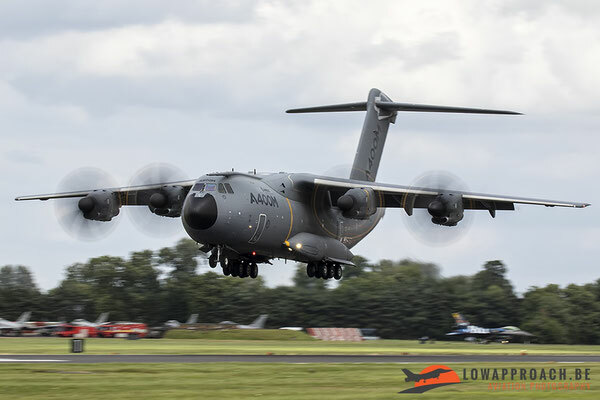 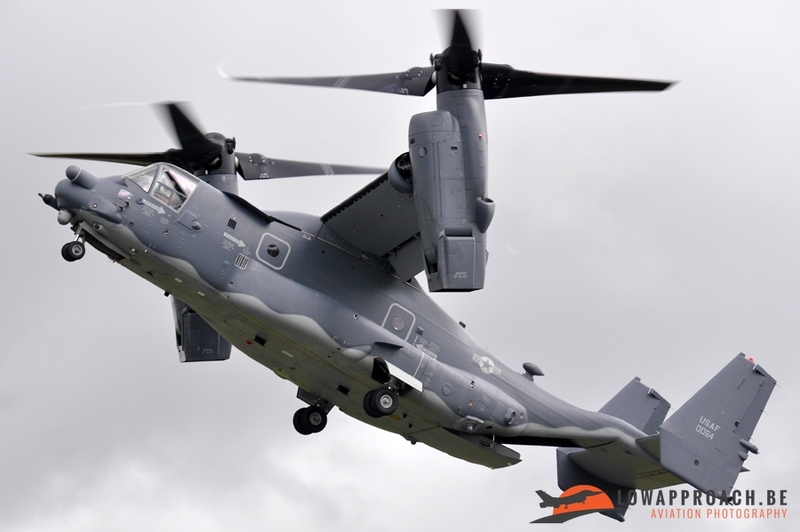 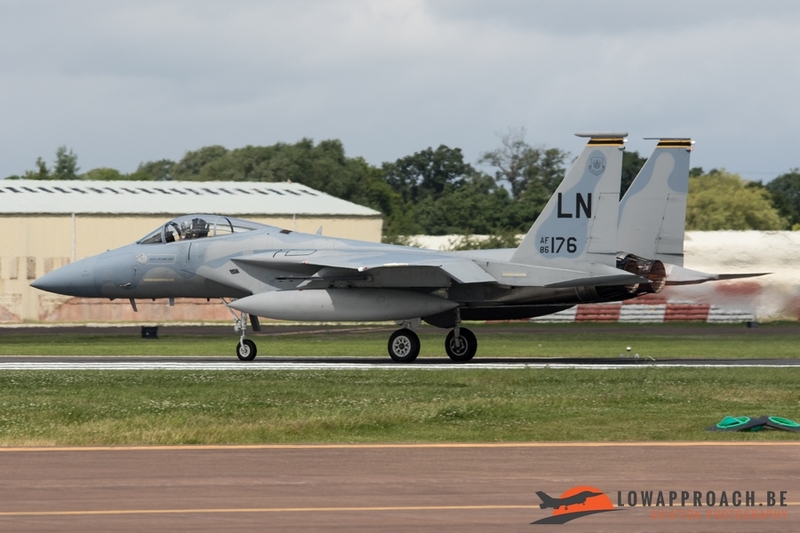 They took part in the Air Tattoo with two F-15C’s, one F-15E and a CV-22B for the static and one CV-22B also took part in the flying display, flying directly from Lakenheath. 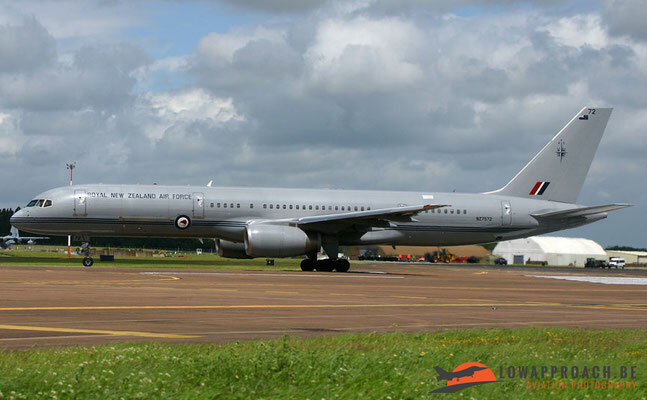 Another converted airliner was presented to us by the Royal New Zealand Air Force with their Boeing 757-22QC. 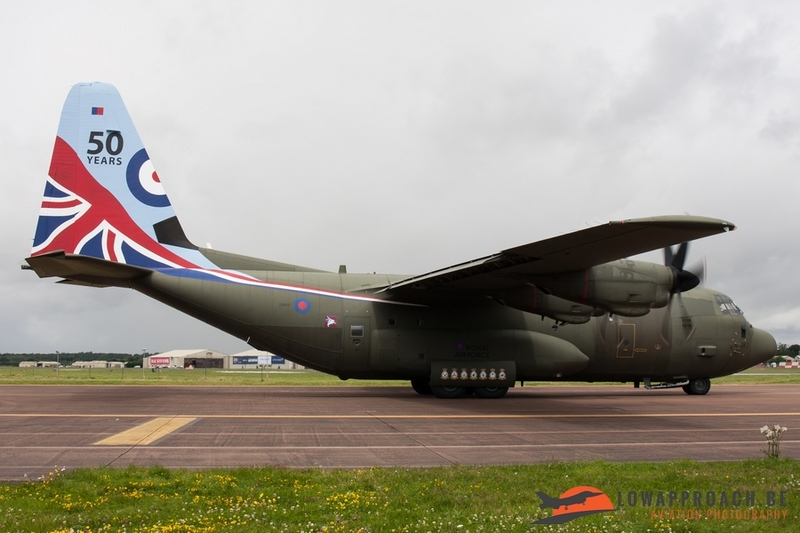 Some other bigger planes in the static where a number of Casa CN295M’s, two from the Polish Air Force and one from Royal Air Force of Oman which was purchased recently. 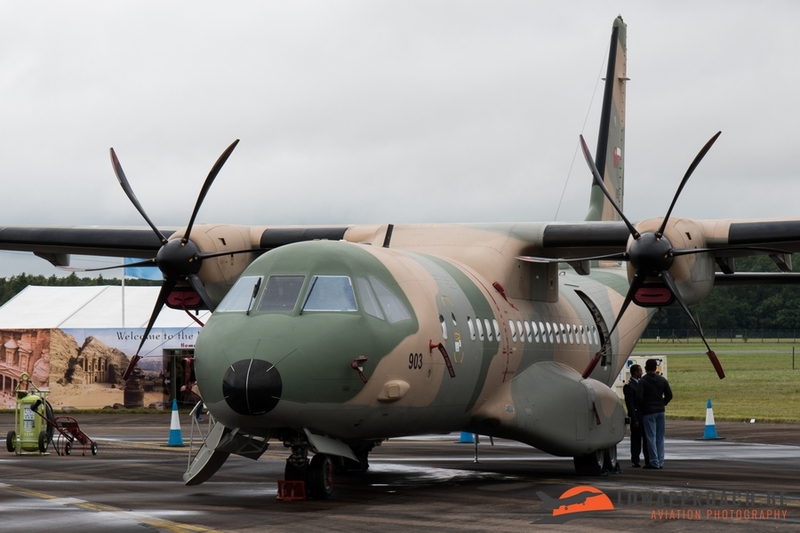 Also the Irish Air Corps attended with a Casa but then in the variant of the CN253MP Persuader. 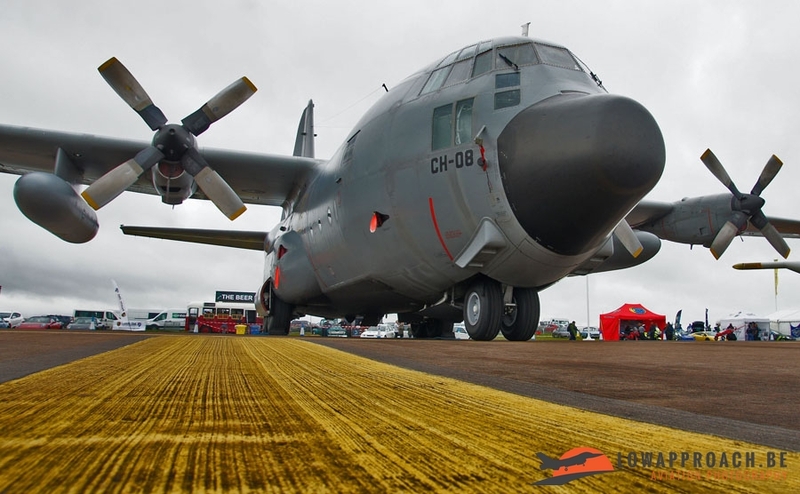 Also the C-130 was well represented in all different kind of types. 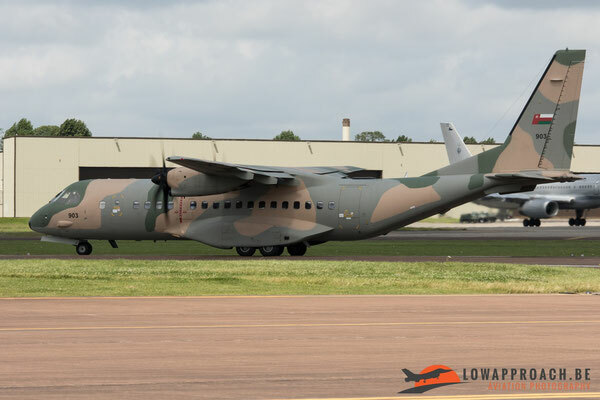 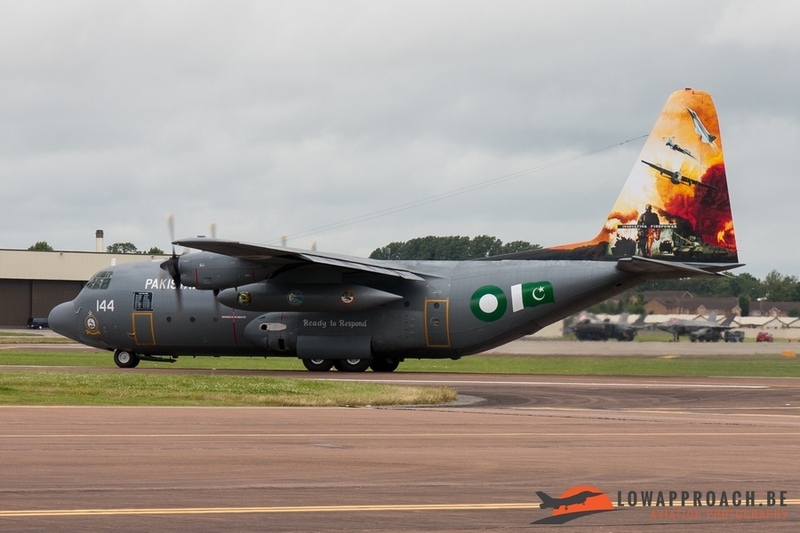 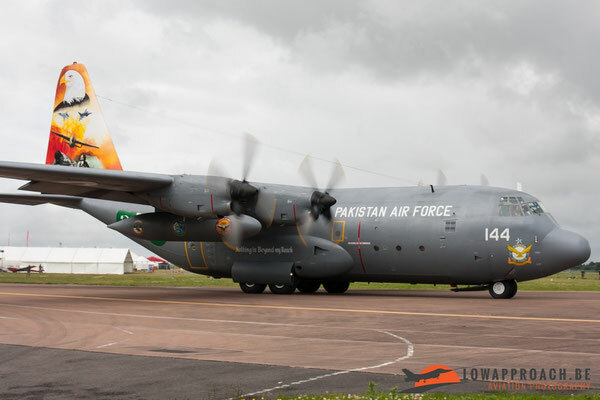 The Belgian Air Force and the Jordanian Air Force with the C-130H version, the Pakistan Air Force with their special painted C-130E, the USAFE with a MC-130J Commando Solo II and to finish the Royal Air Force with their special painted C-130J Hercules C5’s to celebrate 50 years RAF Hercules operations. Besides the great amount of participating C-130’s, two A400M’s could be seen in static. 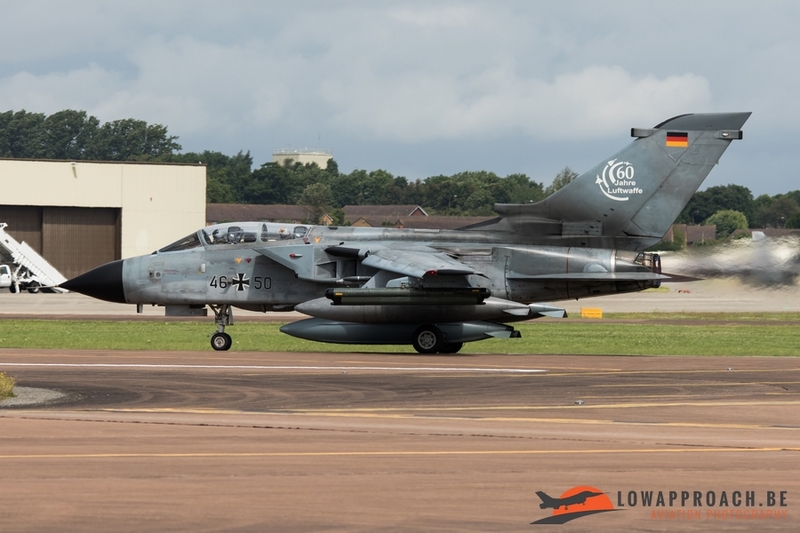 One example came from the Royal Air Force and another one from the German Air Force. 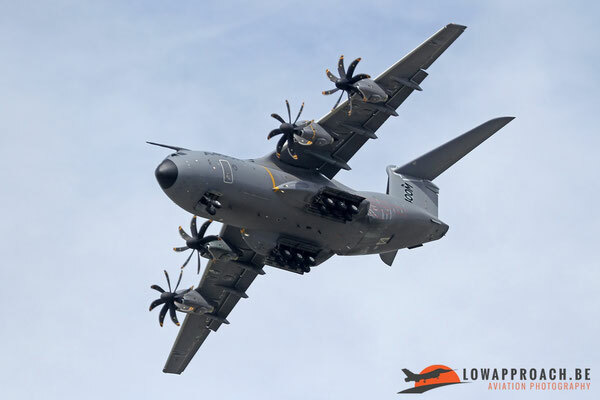 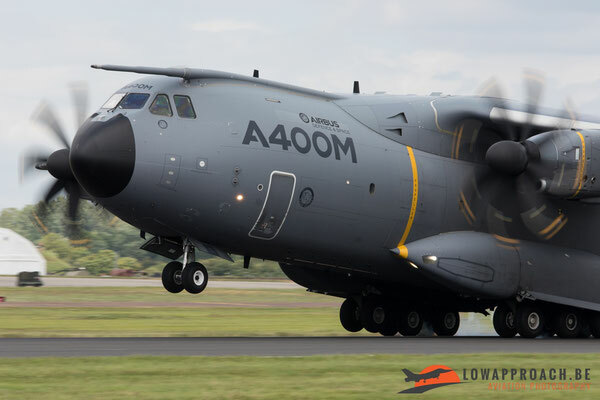 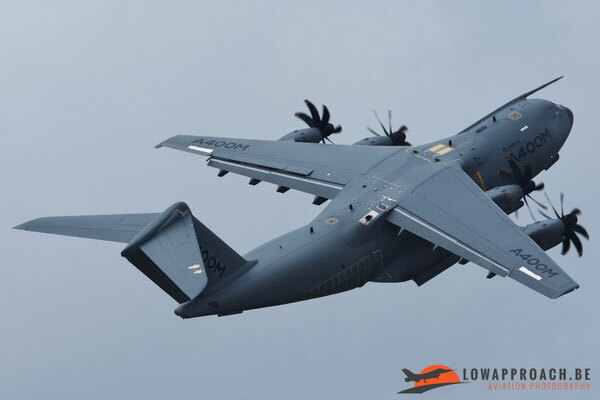 In the flying display we could also witness the demo of the A400M, this A400M came from Airbus itself and was flown by test pilots from Airbus. This presentation always makes a great impression on the crowd with their dynamic display and manoeuvres that you don’t expect from such a big transport plane. 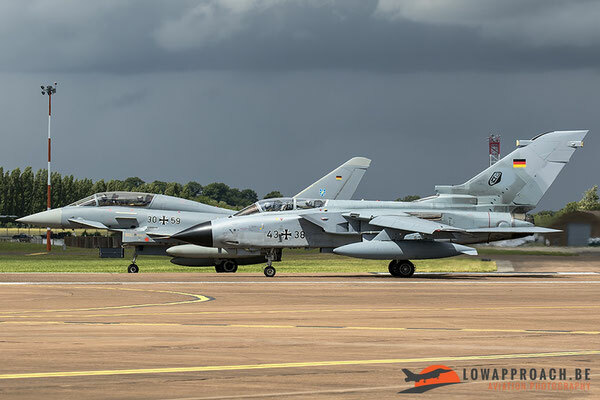 Other German Air Force participants were the C-160D Transall, Tornado IDS and ECR and two special painted EF2000 Typhoons. 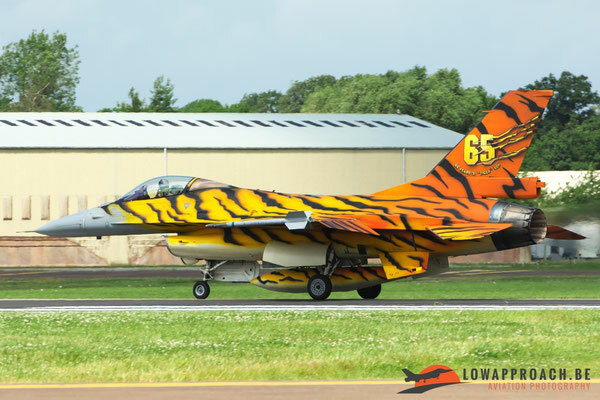 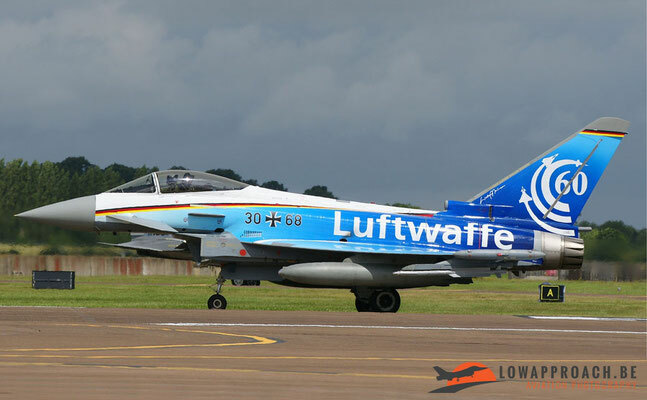 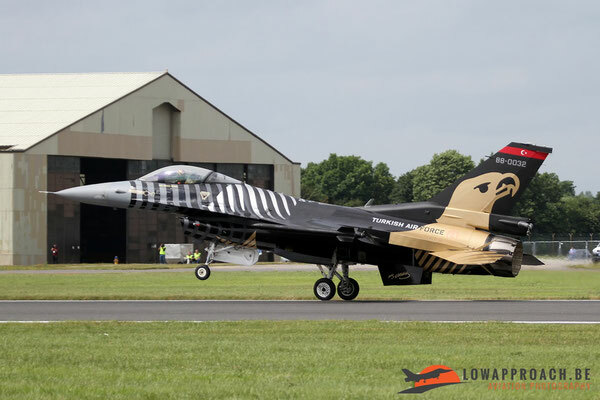 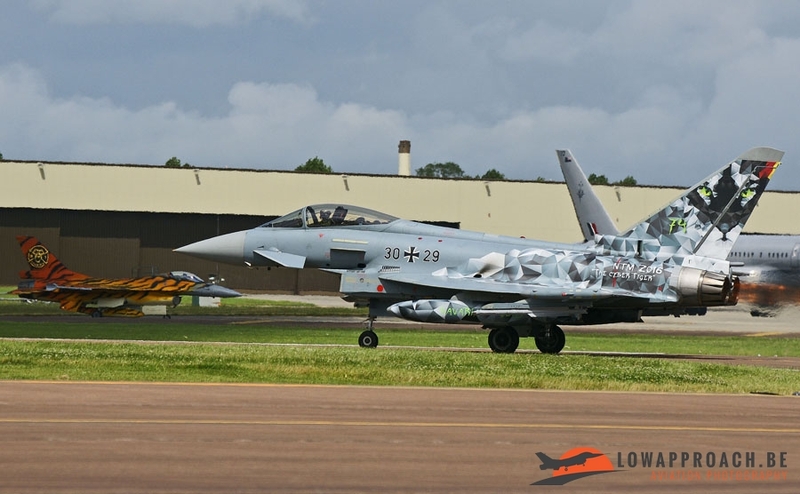 One of those special painted Typhoons was painted in a special livery to celebrate the 60th Anniversary of the German Air Force and the other one was painted in the tiger livery for the Nato Tigermeet which was held in Zaragoza. 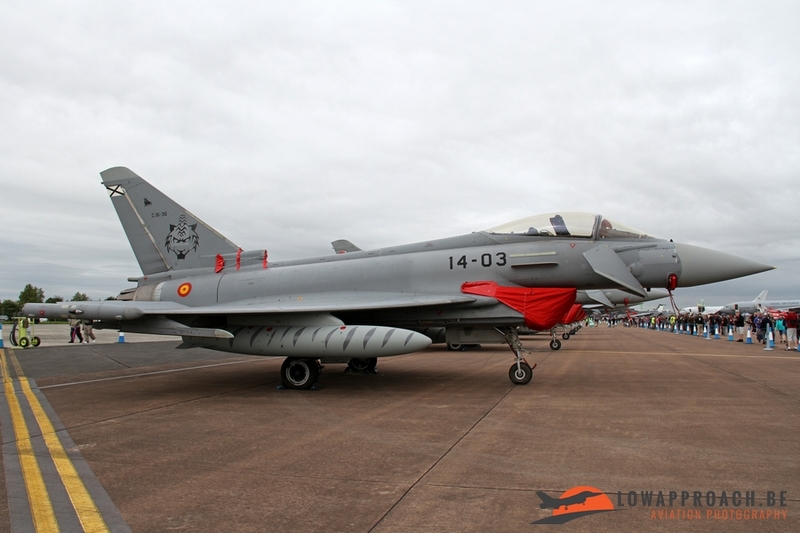 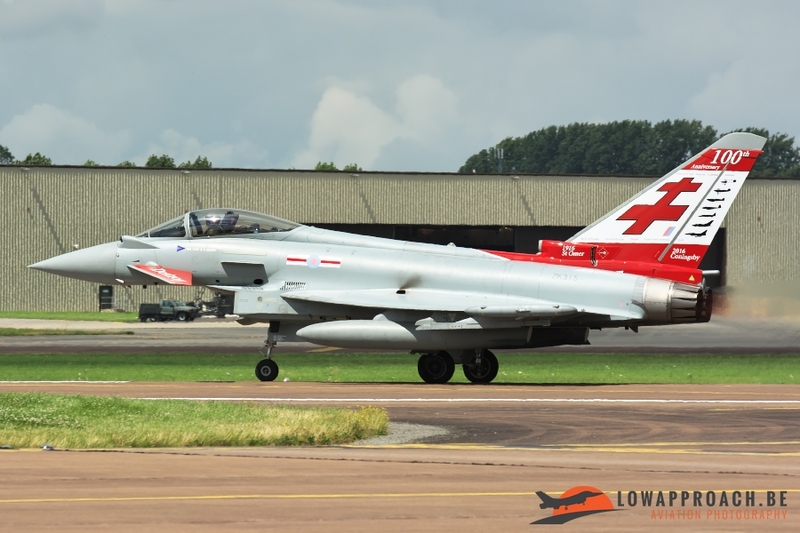 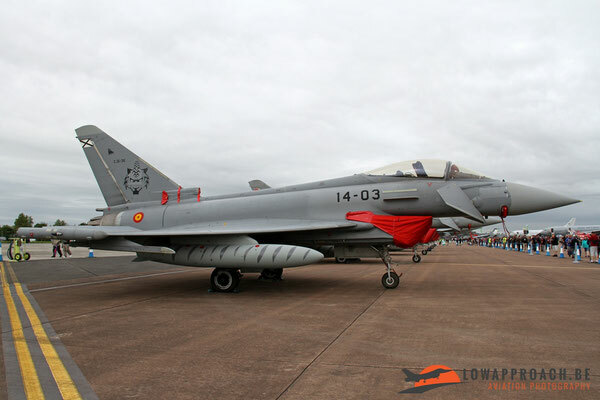 There also was a third GAF Typhoon present at the Air Tattoo, but this was the twoseater version. 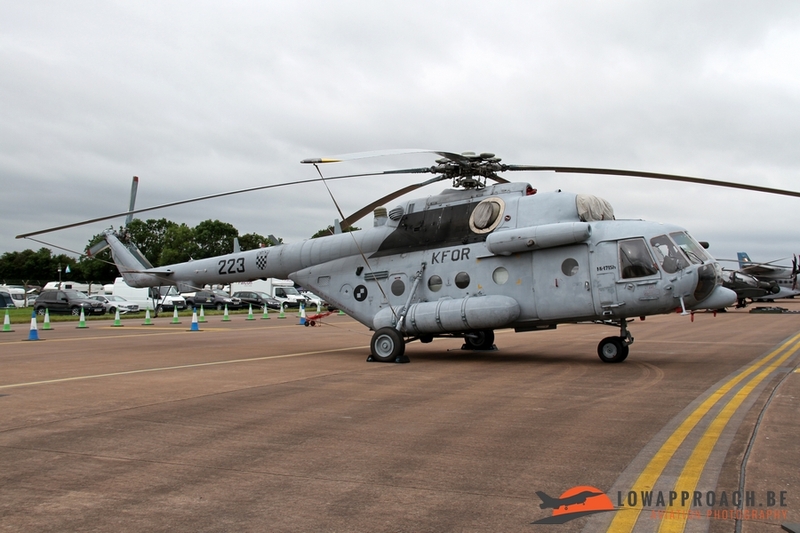 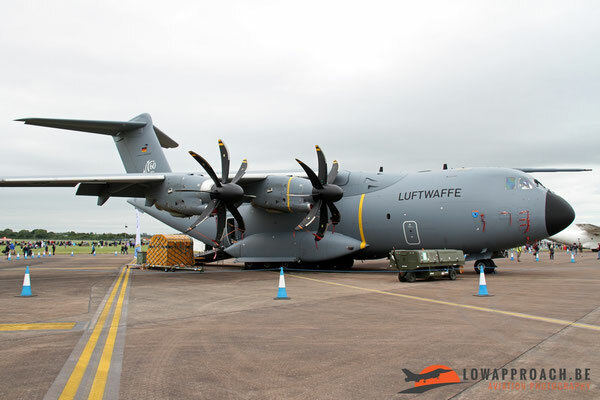 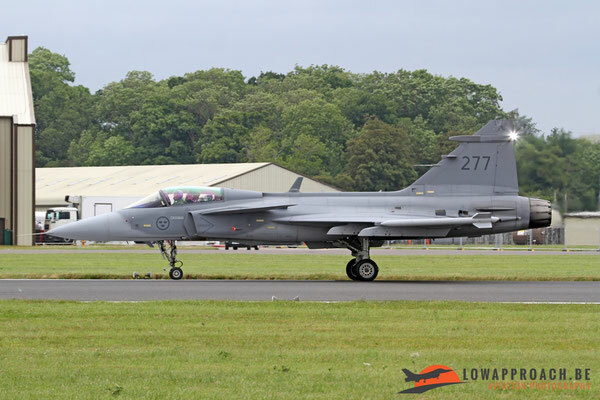 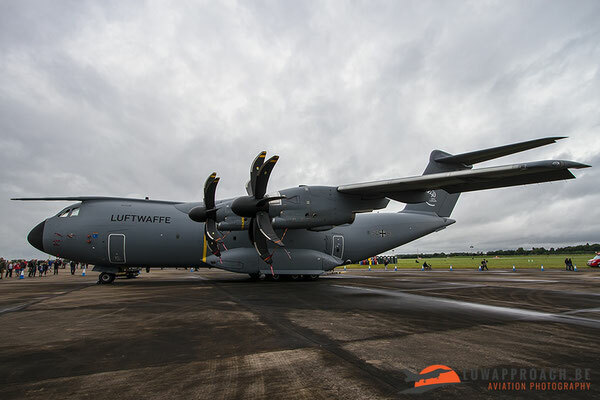 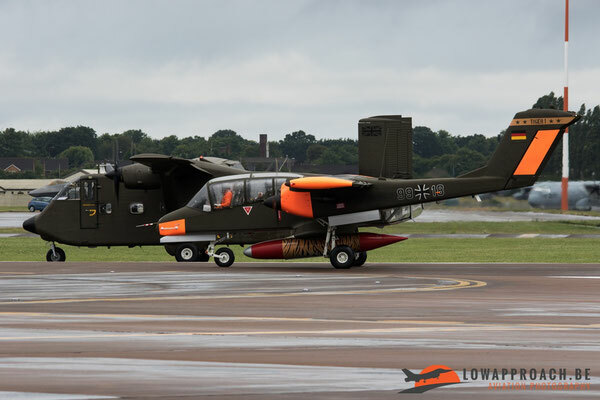 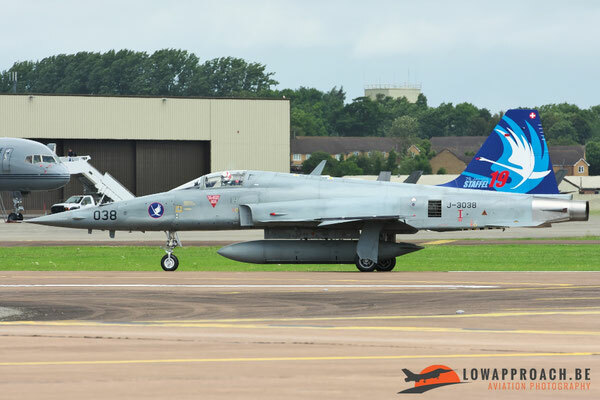 In addition to the big German Air Force contribution to the RIAT, the German Navy was also present with some of the aircraft they have in their inventory. 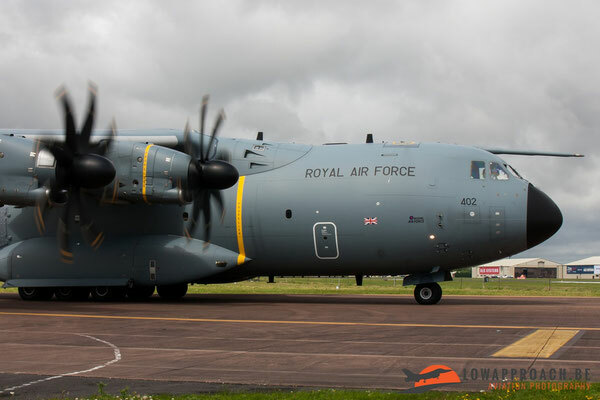 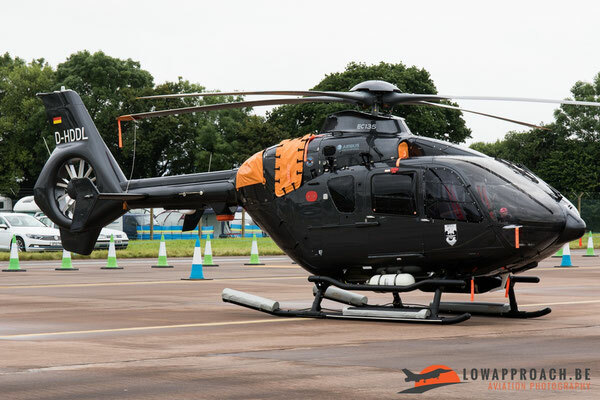 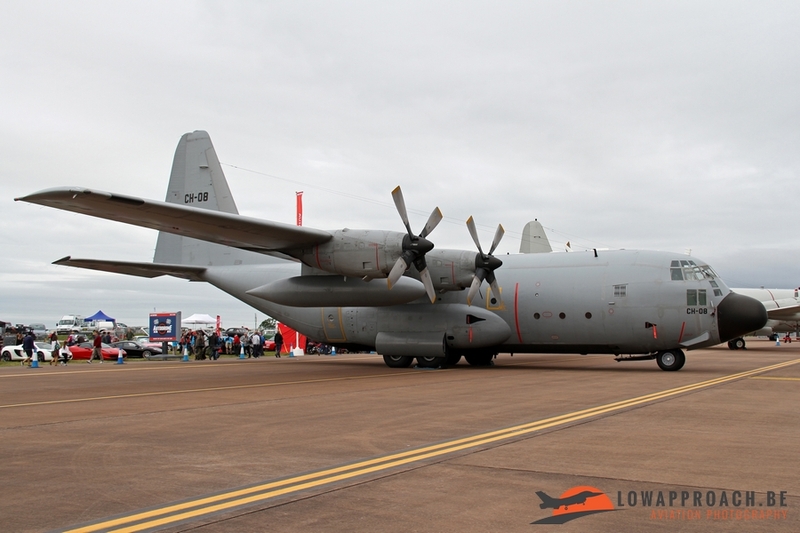 They sent a P3C Orion and an EC135 helicopter to the Royal International Air Tattoo. Further in the flying display we could see more Eurofighters presented. 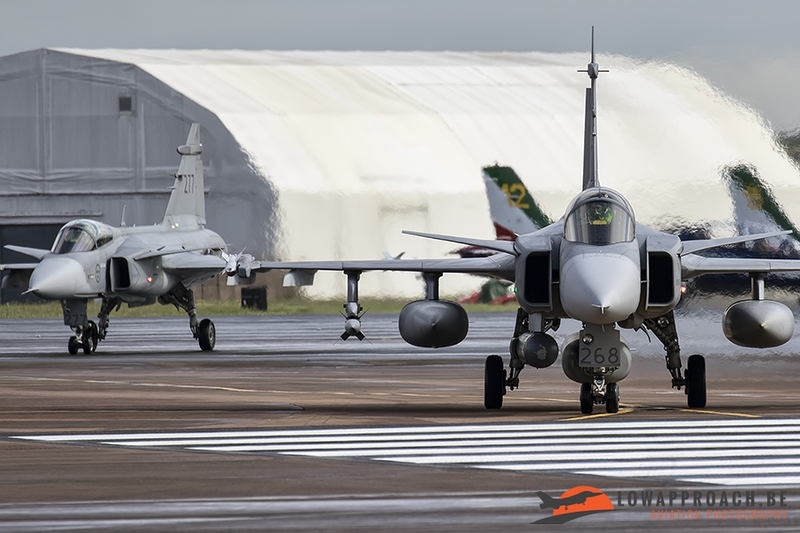 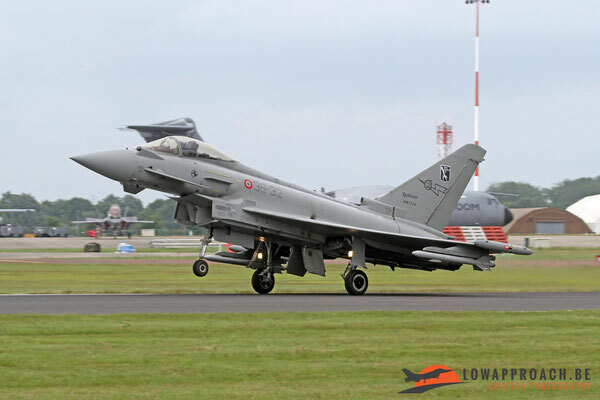 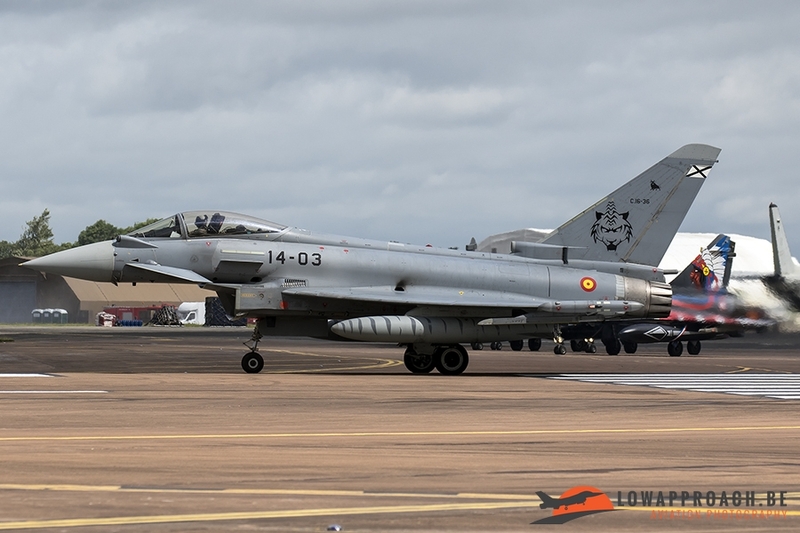 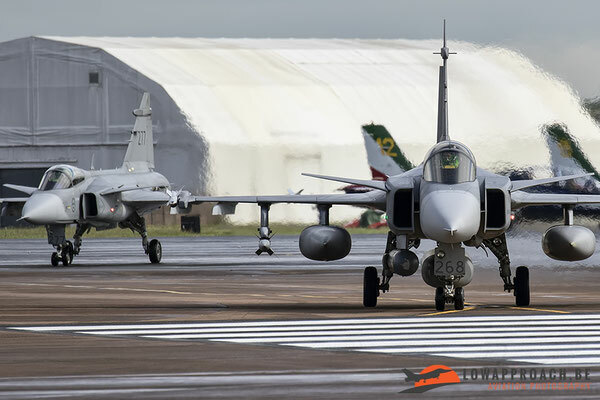 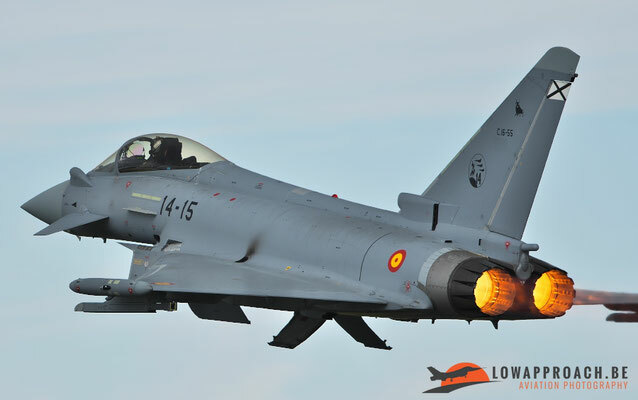 Besides the Germans in the static, Spain and Italy respectively showed their C.16 Typhoon and F-2000A, both in the static but there was also an example of each demonstrated in the flying display. Another Typhoon display was showed to us by the BAE System’s Typhoon IPA7 flown by test pilot Nat Makepeace. 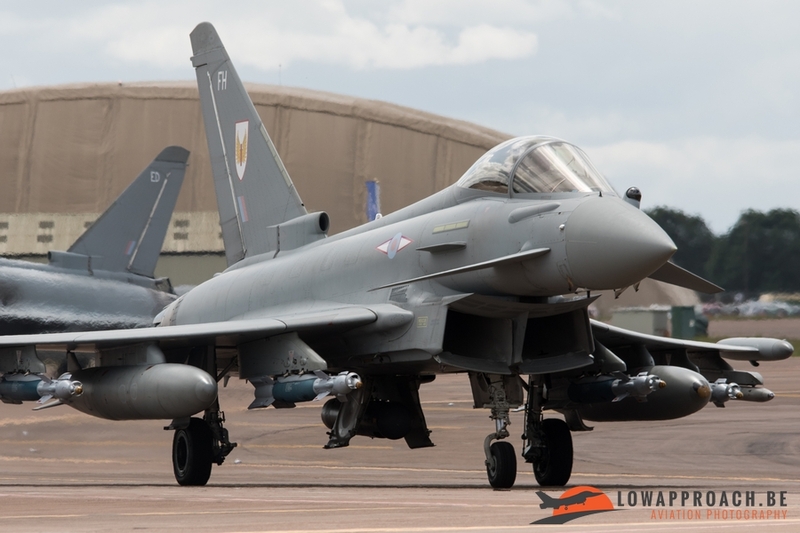 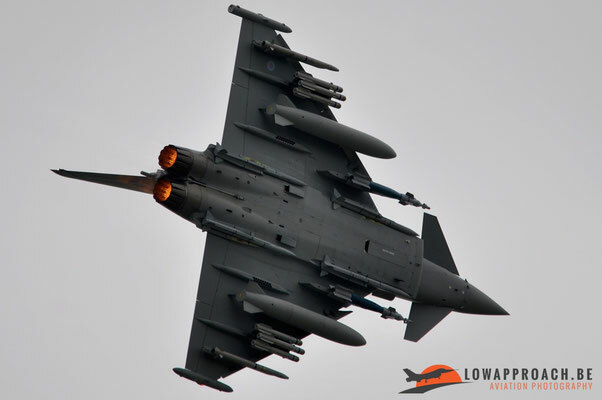 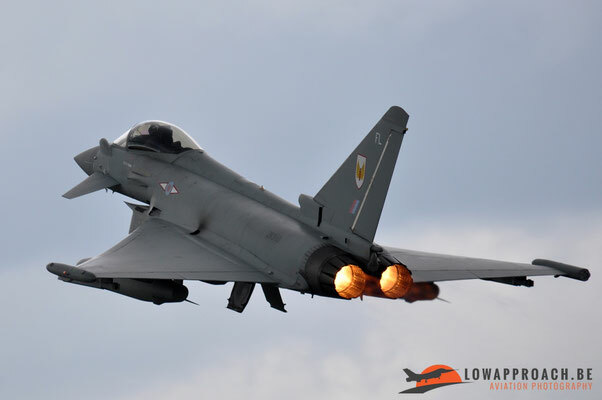 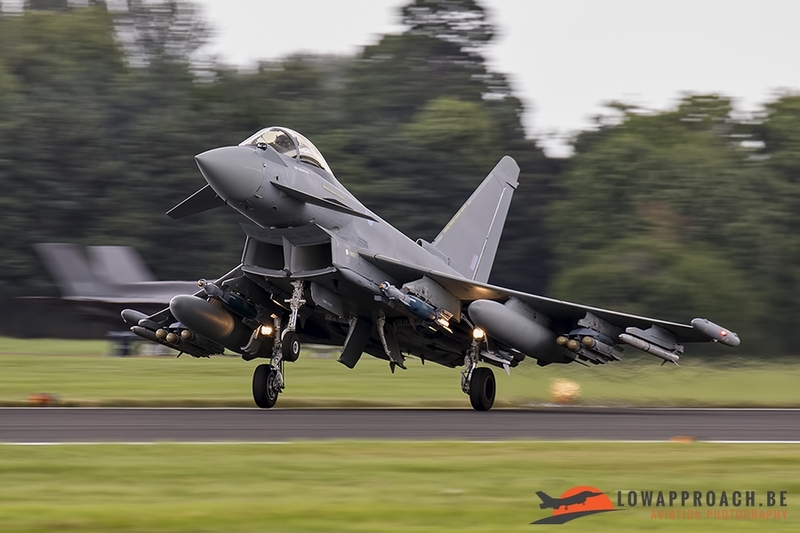 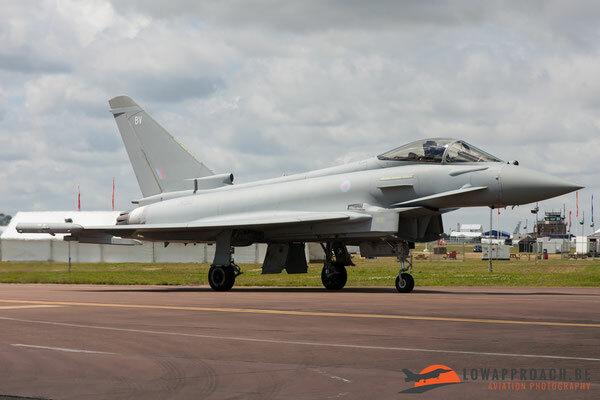 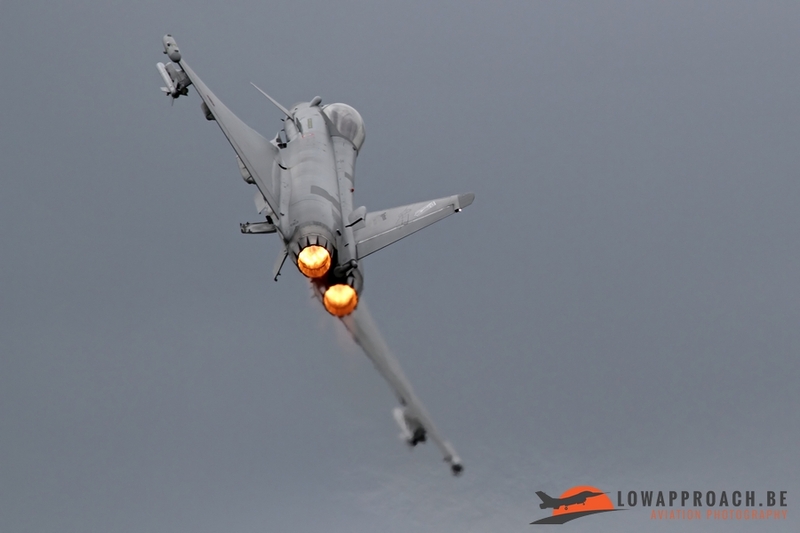 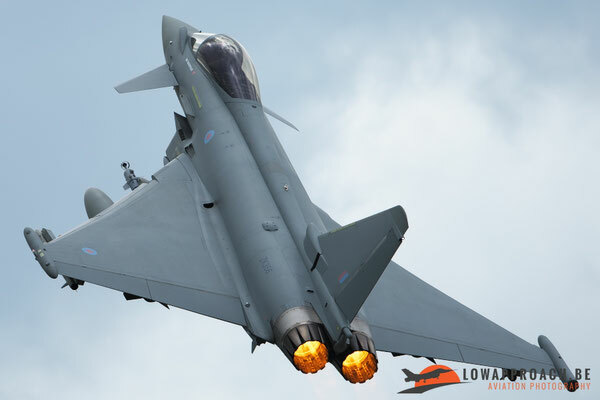 This Typhoon was equipped with four Meteor medium range air-to-air missiles, two racks of Brimstone II air-to-ground missiles, two drop tanks, two Paveway IV precision guided bombs and two ASRAAM short range air-to-air missiles. 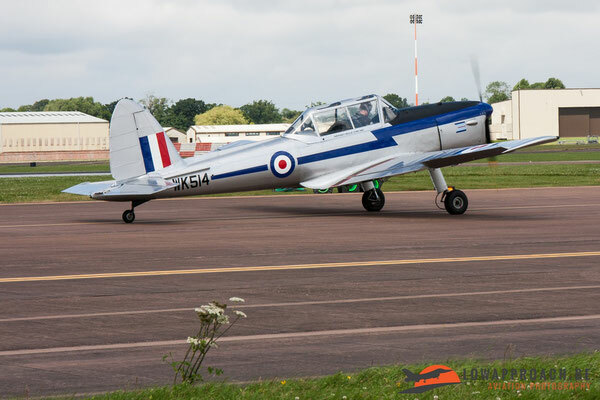 After his display he was awarded for the best flying demonstration by a UK participant. The Royal Air Force also showed us the Typhoon Solo Display with the Typhoon GR.4. 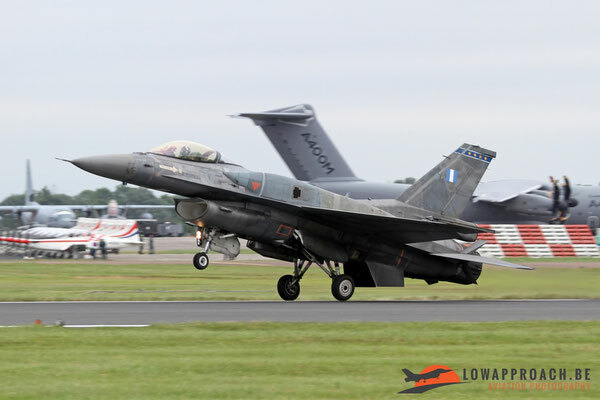 More fast jet displays were performed in the form of F-16 Solo Displays. 4 different nations contributed the Fighting Falcon in the flying display. 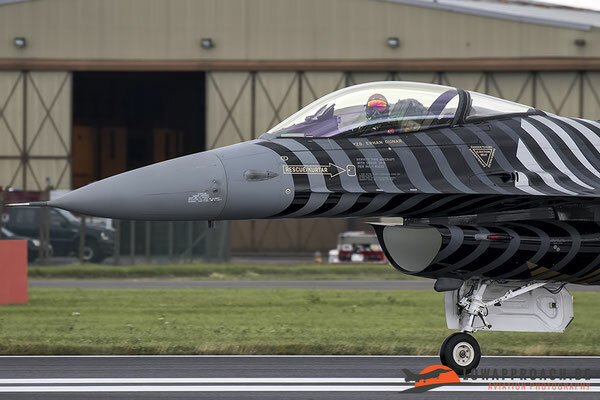 The first to mention is the Belgian Air Force F-16AM flown by Cdt. 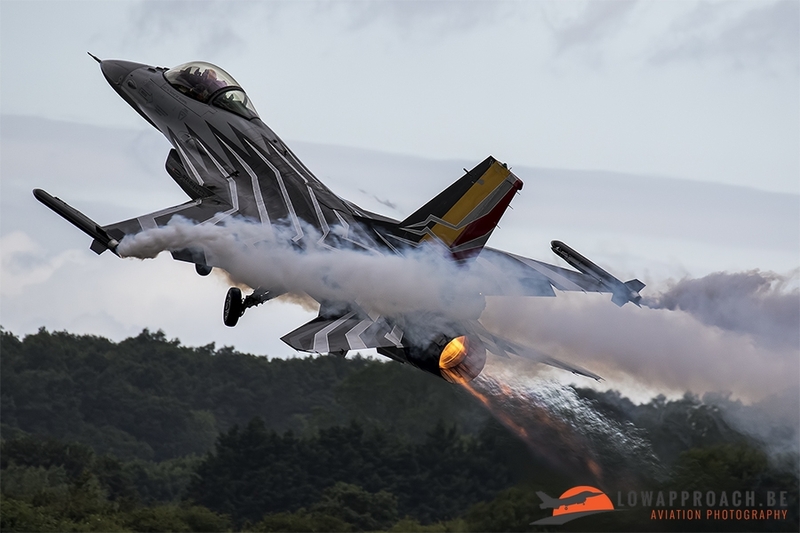 Tom “Gizmo” de Moortel and with a bit chauvinism we can say it’s one of the best F-16 display that are flown by the moment. 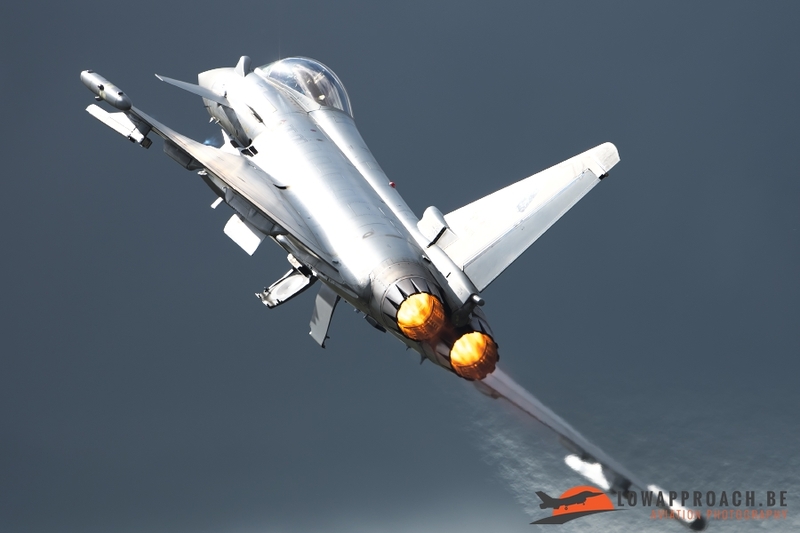 Powerful, dynamic and precision only three words needed for this display. 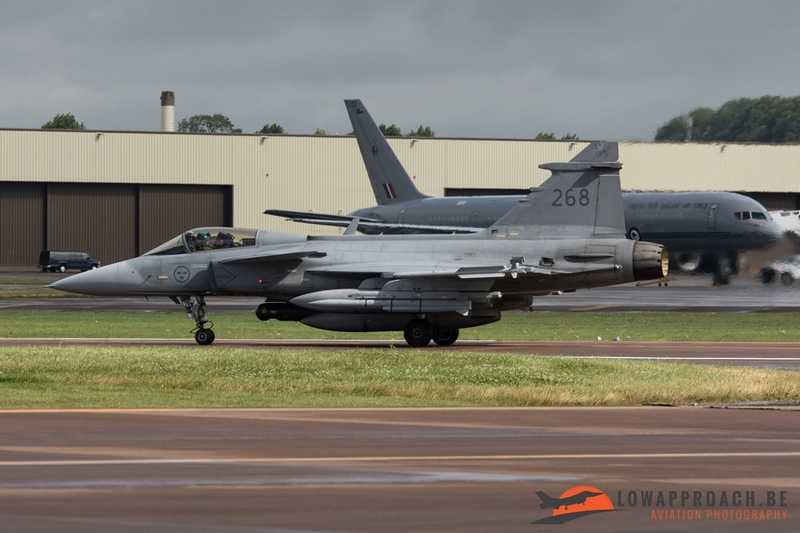 Also the Hellenic Air Force sent their F-16C to the RIAT. “Zeus” flies the F-16C fitted with CFT’s which is always nice to see. 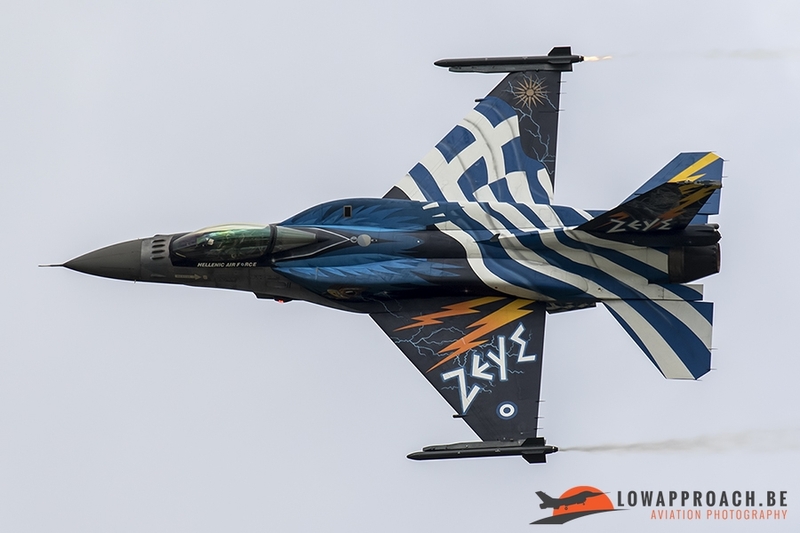 This display from Zeus is not so dynamic as the Belgian one because the Greek demo pilots were trained by the US Air Force. 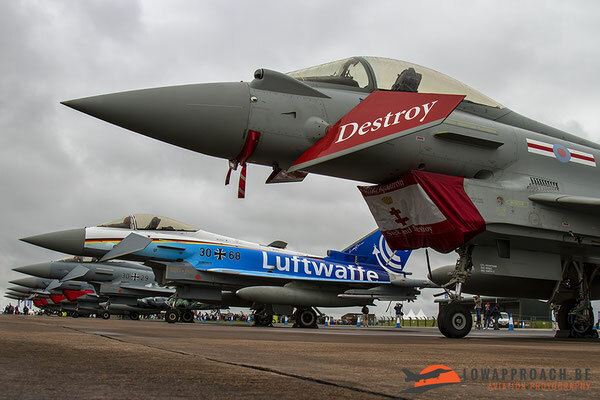 This display consists of passes and flyby’s. 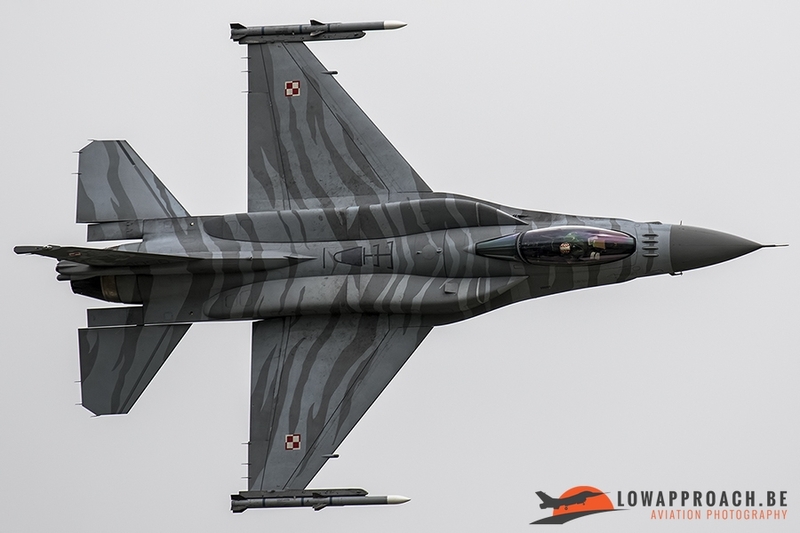 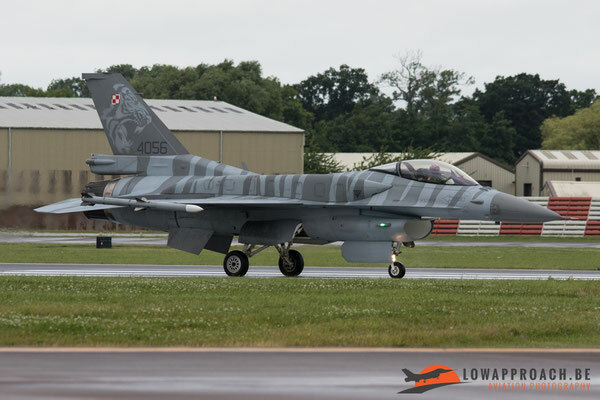 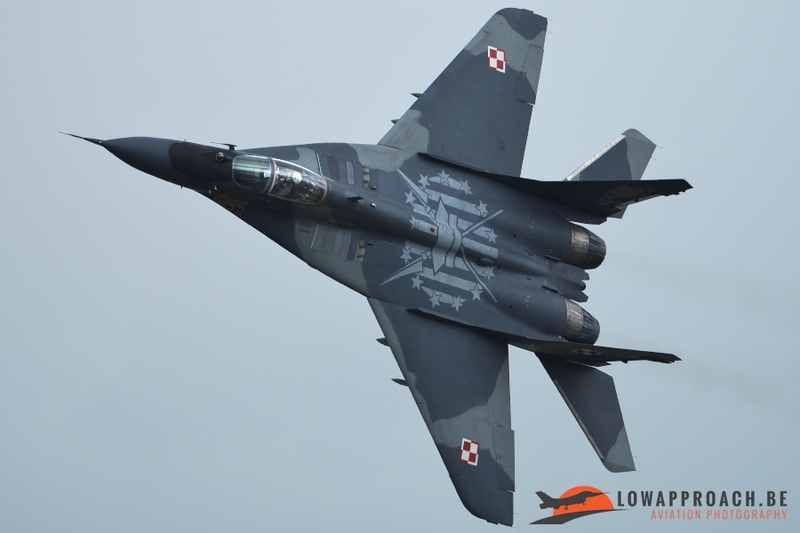 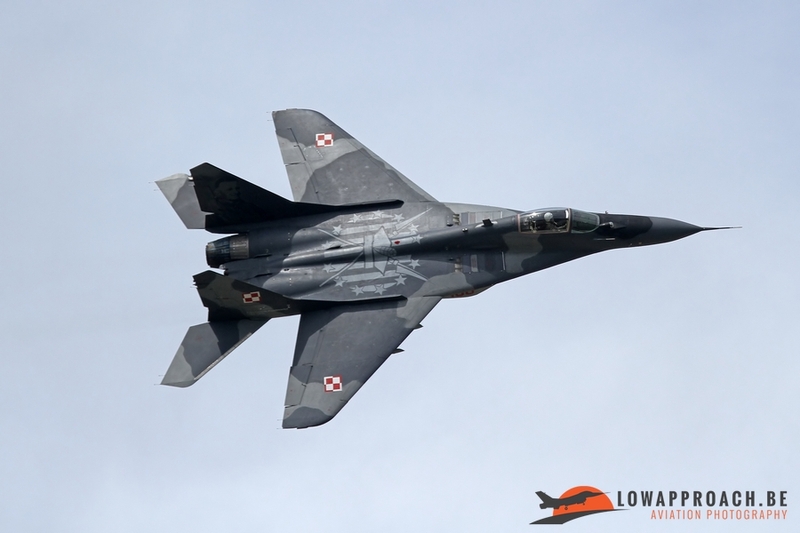 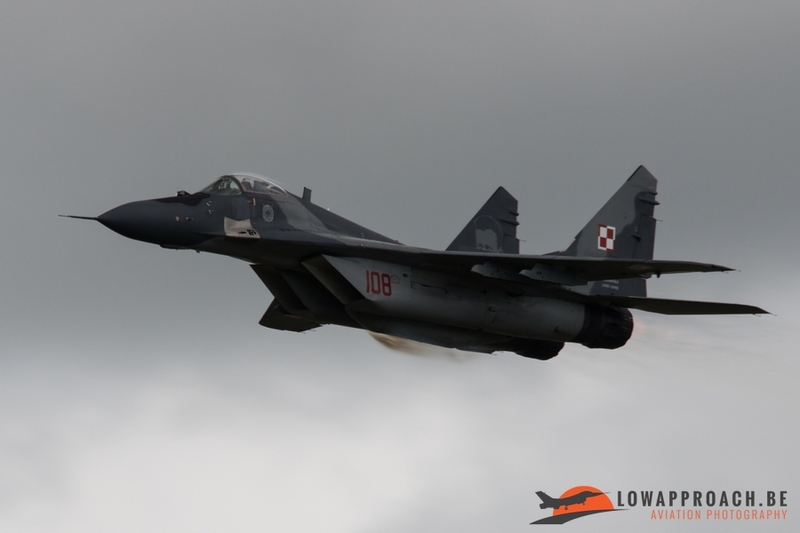 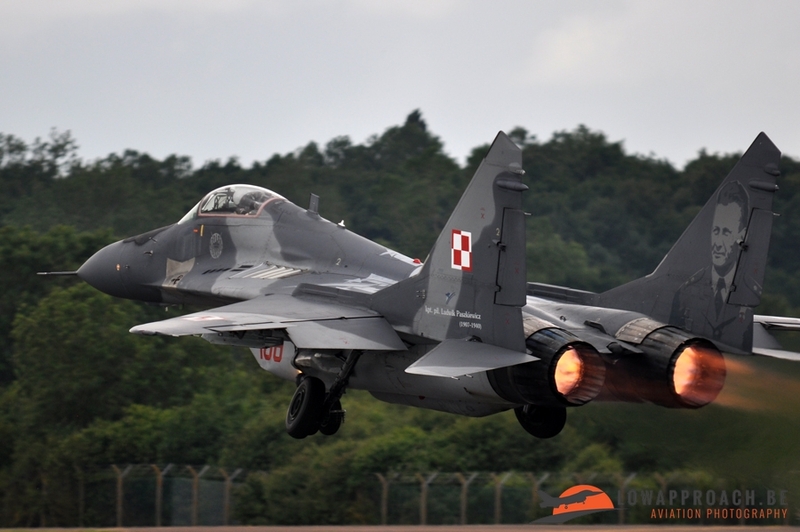 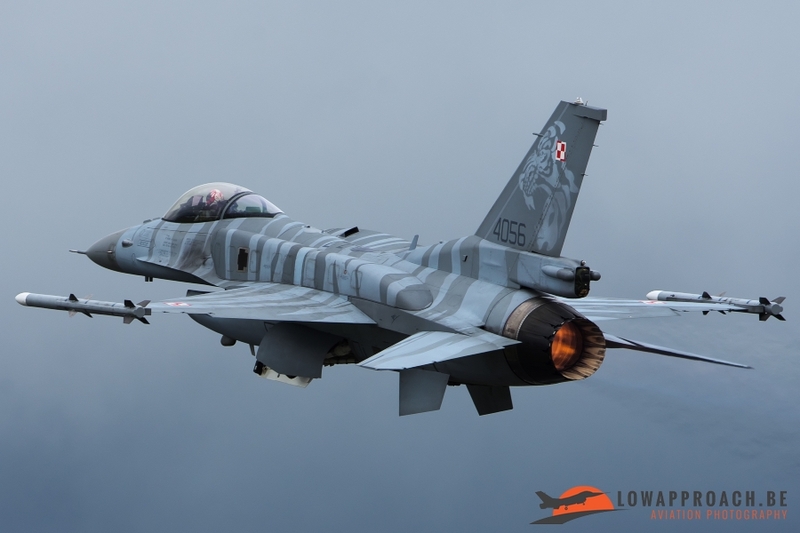 A similar display was presented to us by the Polish Air Force. 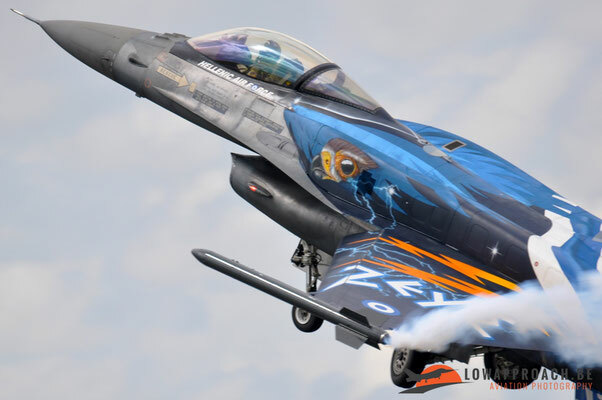 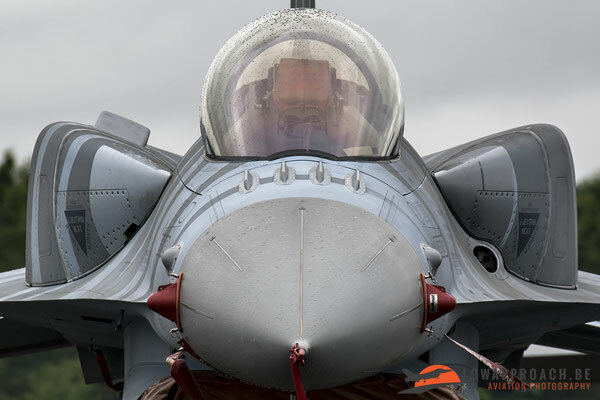 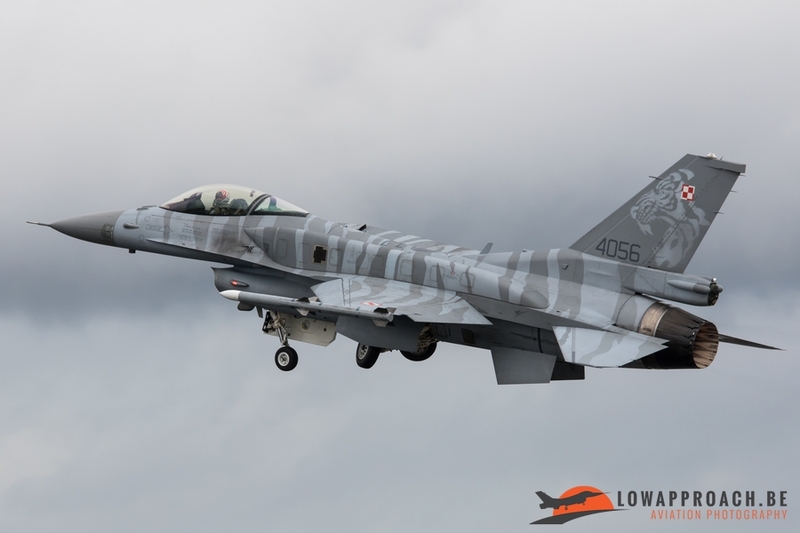 This F-16 “Tiger” demo was also fitted with CFT’s and their demoteam is trained with cooperation of the Hellenic Air Force. So the Polish F-16 display can be compared to the Hellenic Air Force’s one in terms of manoeuvres. 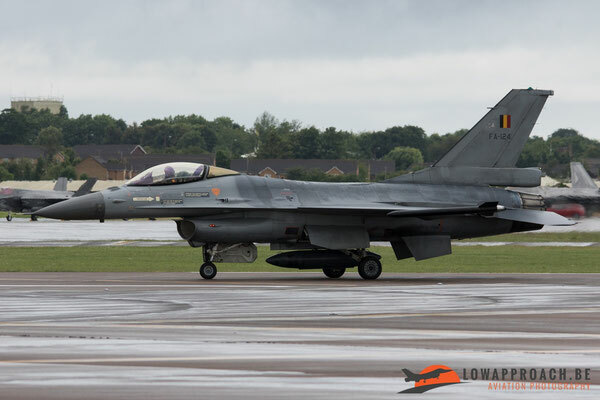 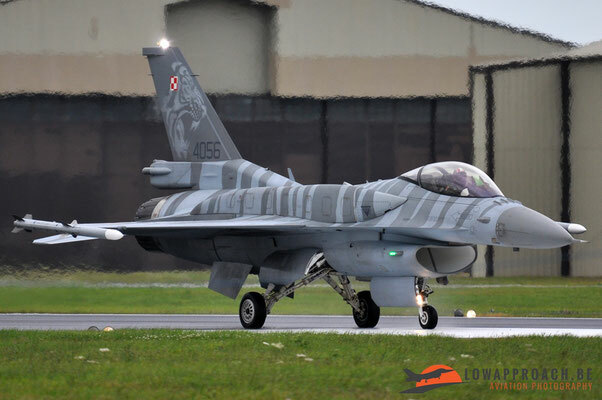 The last F-16 display that could be seen at RIAT was provided by the Turkish Air Force. 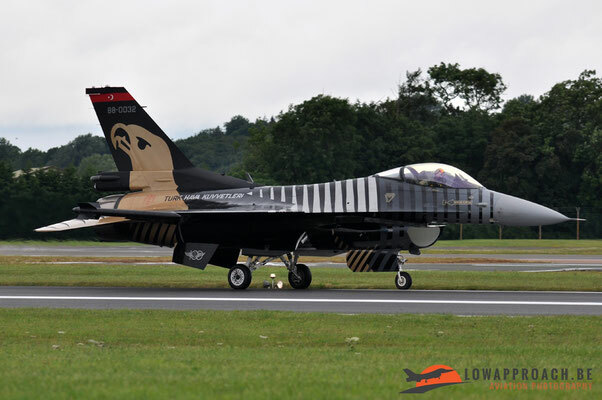 This demonstration was also flown with the F-16C. 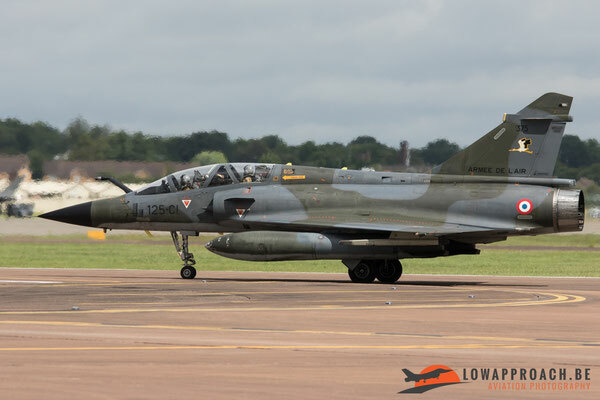 Sadly only on Saturday this demonstration could be seen because due to the bad weather on Sunday morning the demopilot had to cancel his display but he made a taxi run on the runway instead. 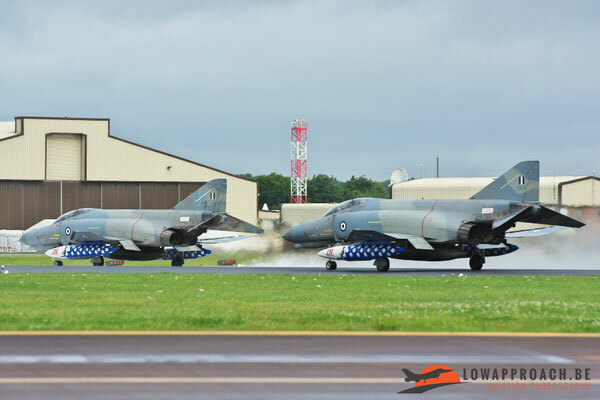 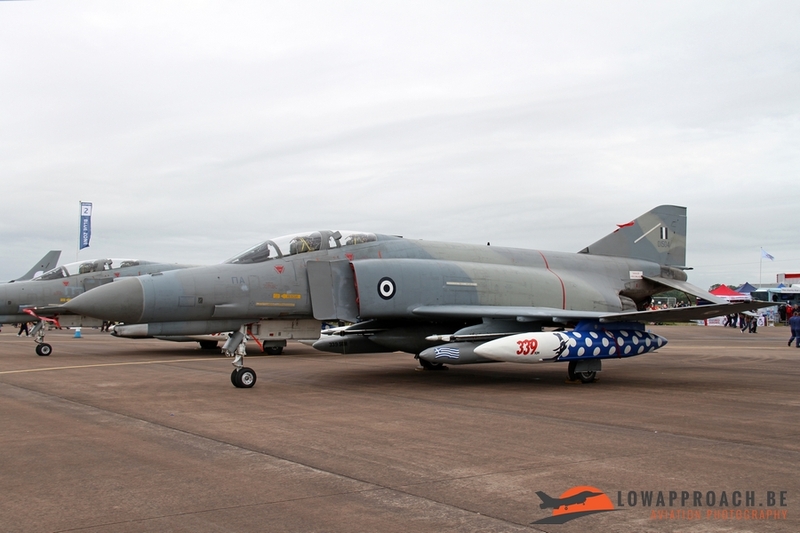 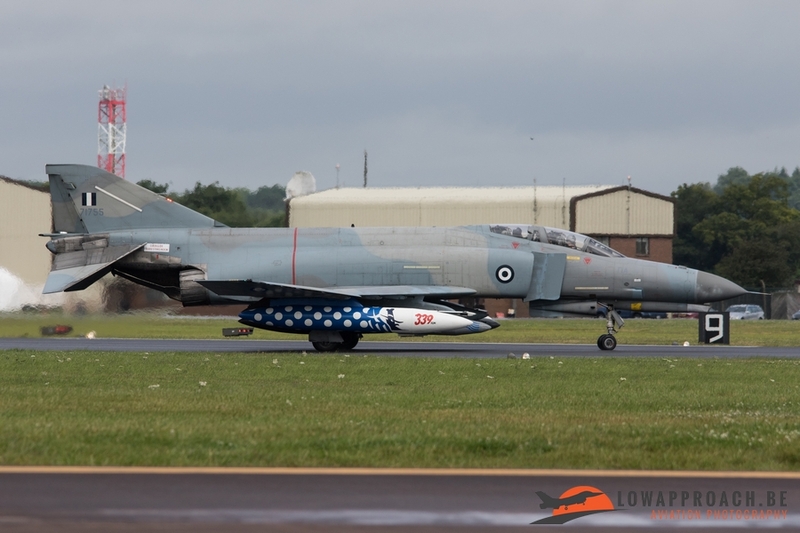 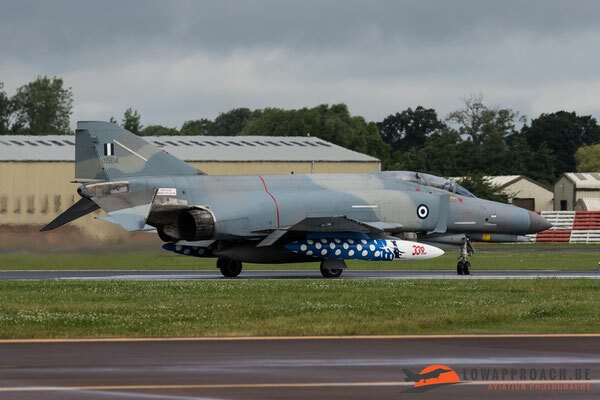 Now we go back to some highlights in the static: two F-4E (AUP) Phantom IIs from the Hellenic Air Force. 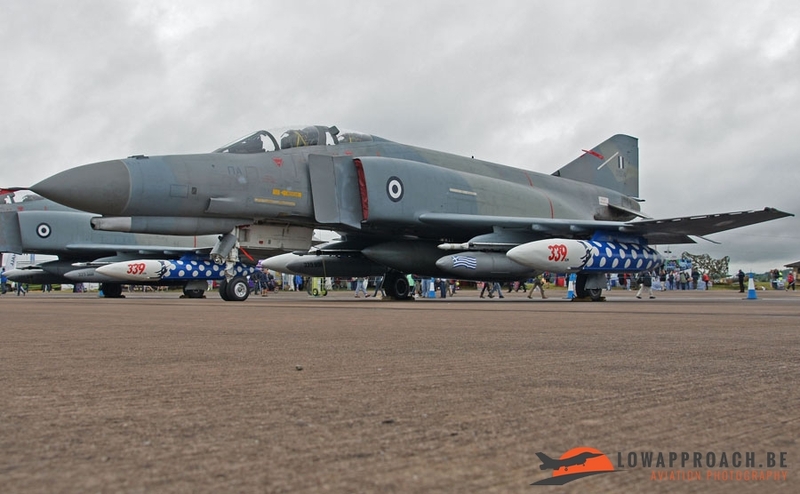 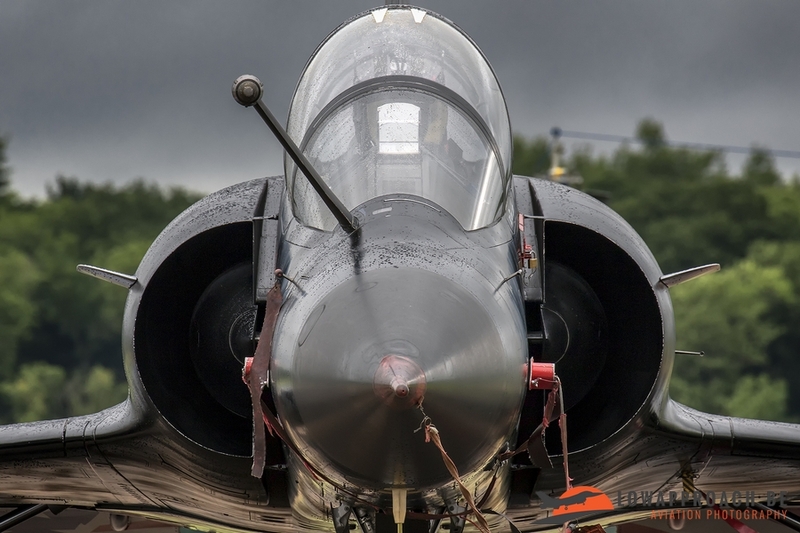 Only two countries in Europe still fly the F-4, Greece and Turkey. 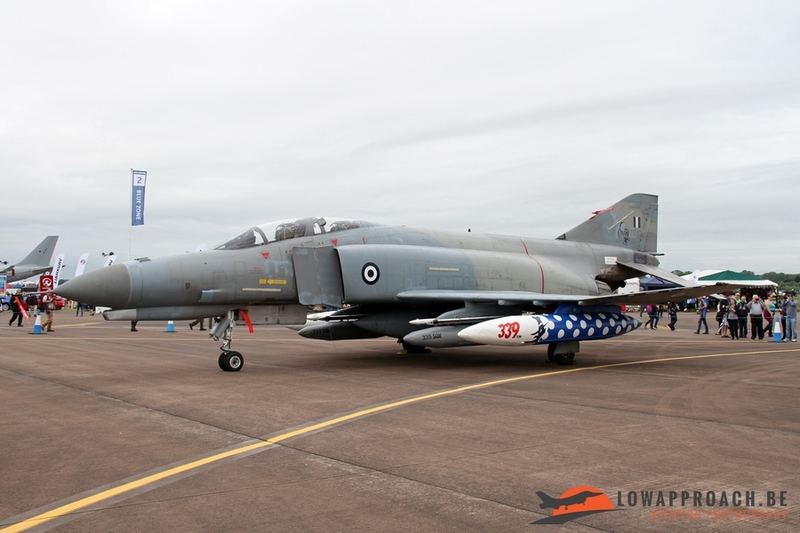 Sadly, Greece will lose some of its F-4’s in 2017 as the RF-4E’s are being put out of service in May of that year. Another nice participant we could find in the static display was the CP-140 Aurora. 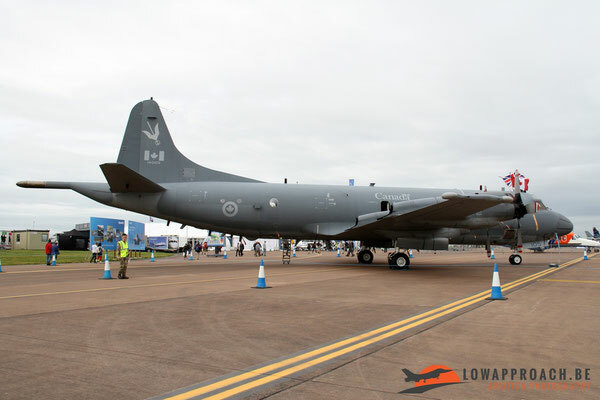 This aircraft is based on the Lockheed P-3 Orion, but mounts the electronics suite of the S-3 Viking. 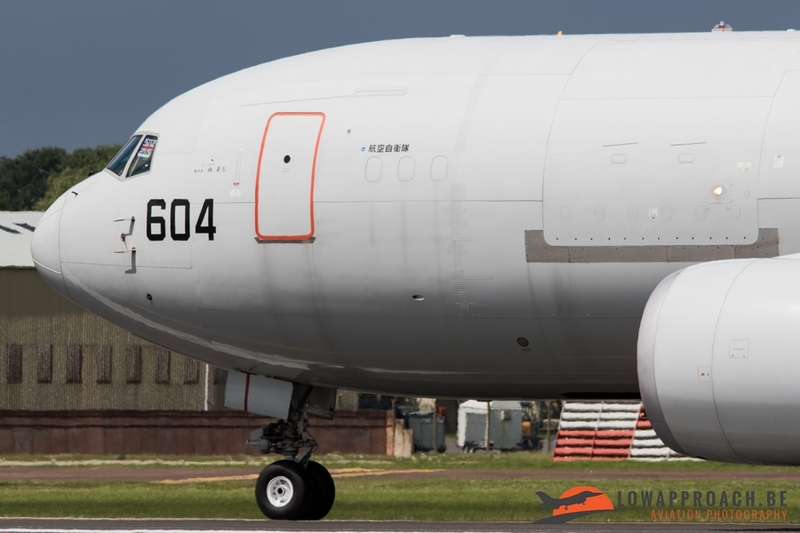 The CP-140A Arcturus was a related variant used primarily for pilot training and coastal surface patrol missions. 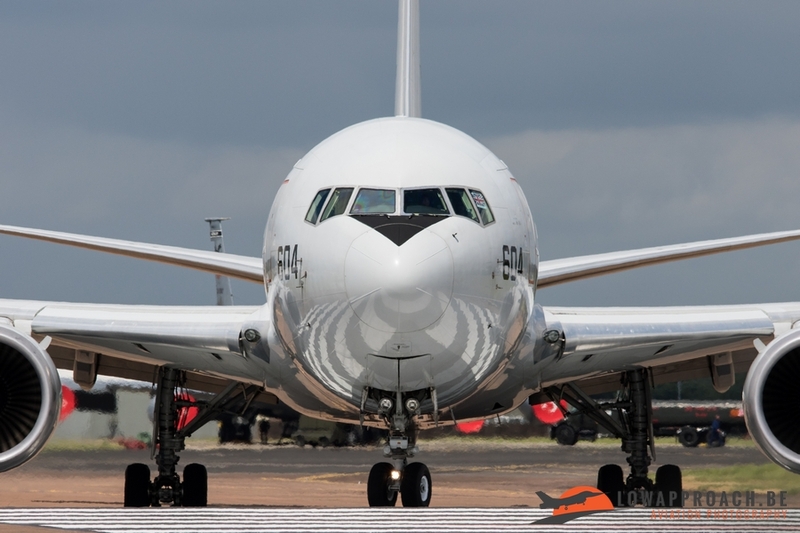 The CP-140 is Canada's only strategic Intelligence Surveillance and Reconnaissance (ISR) aircraft. 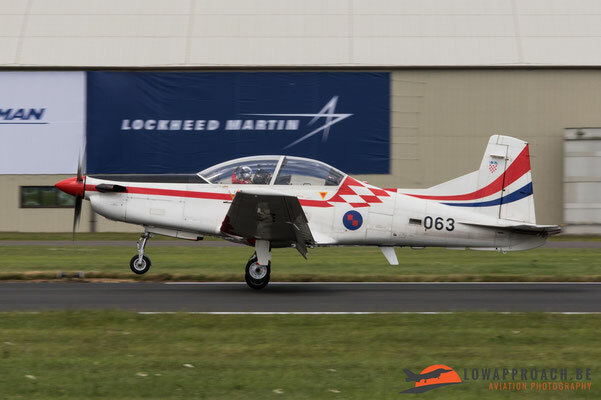 We also saw a very rare helicopter that came along as support for “The Krila Oluje Team” (Wings of Storm) from the Croatian Air Force. 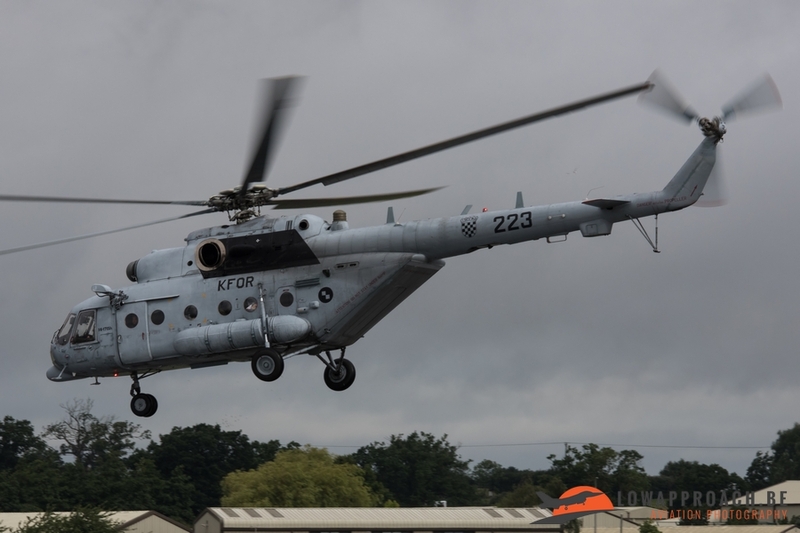 This helicopter was the Mil MI-171Sh Hip and was also placed in the static. Now that we are talking about the “Krila Oluje”, the team made their first Air Tattoo appearance. 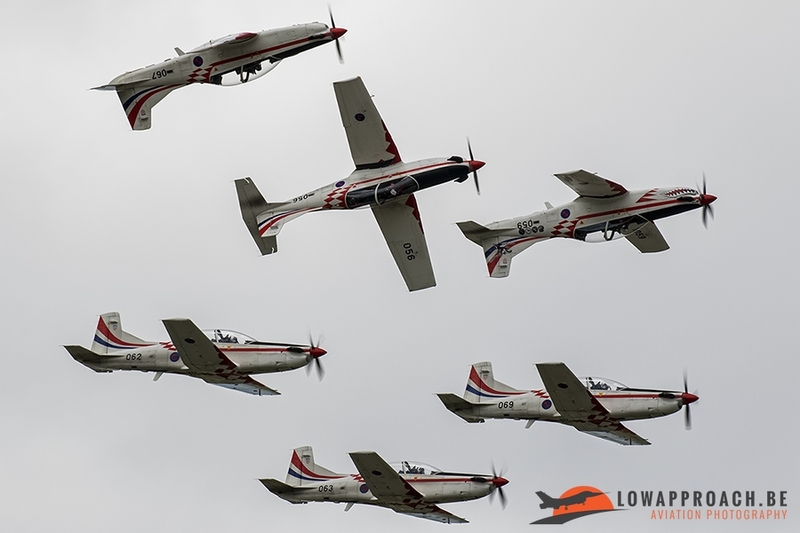 The team flies six Pilatus PC-9M aircraft and we must say that they fly an original and unique program from about 20 minutes. On the RIAT they were awarded with the King Hussein Memorial Sword for the best overall flying demonstration. Other demo teams that showed us their skills were the Red Arrows, Frecce Tricolori and Orlik Team. 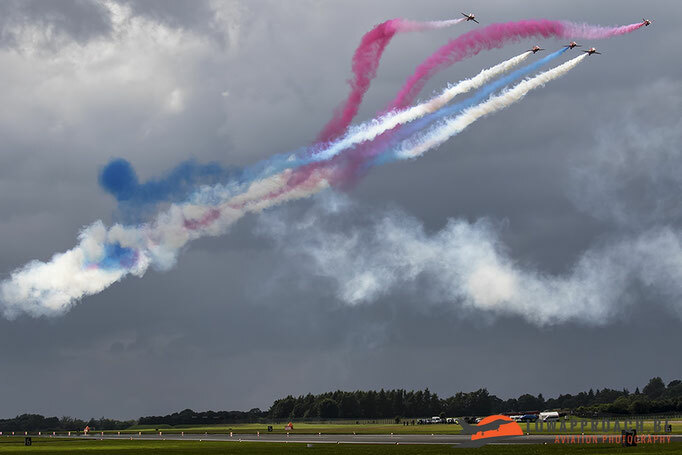 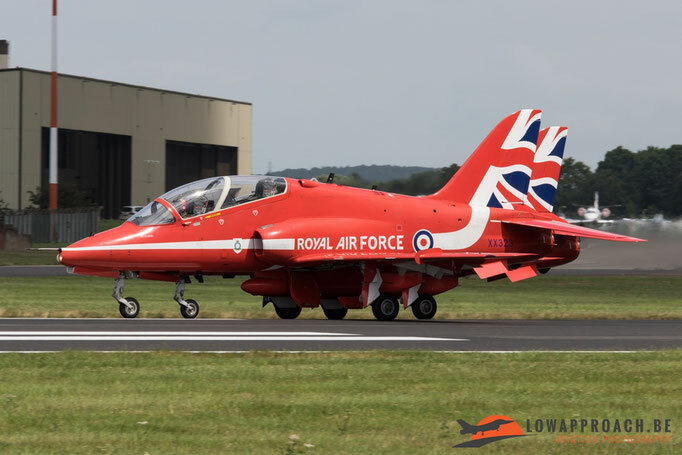 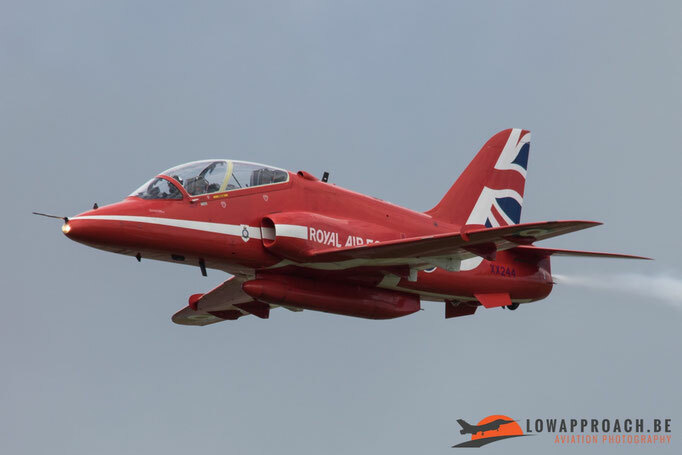 We are sure that the Red Arrows don’t need any introduction, the Royal Air Force Aerobatic Team Red Arrows is simply one of the best demoteams and are always playing a homematch at the RIAT in Fairford. 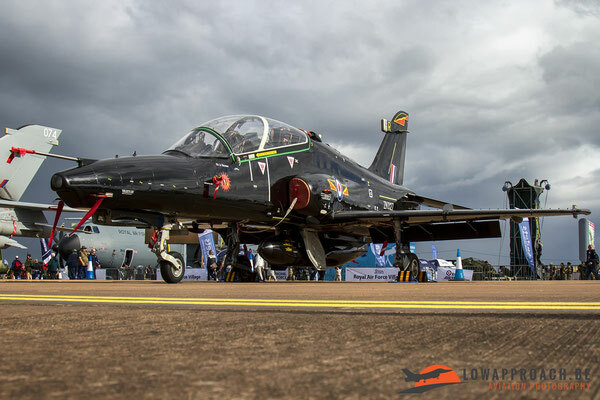 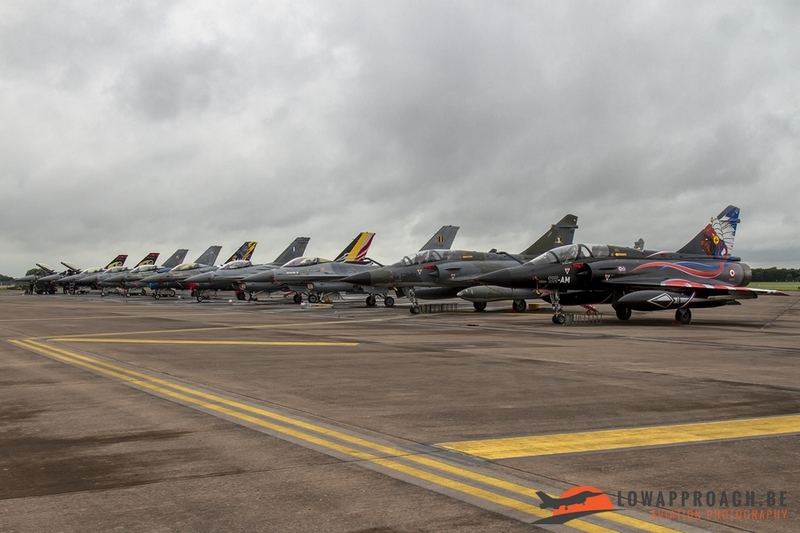 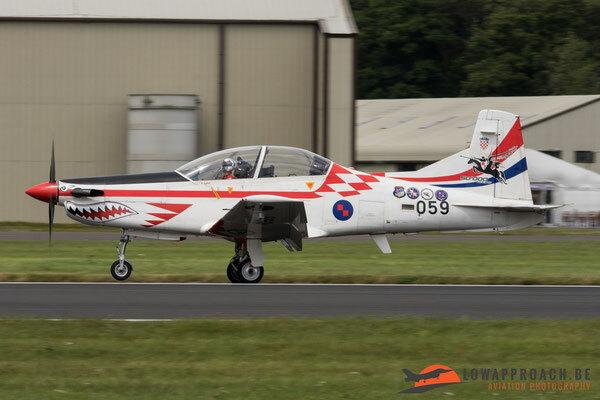 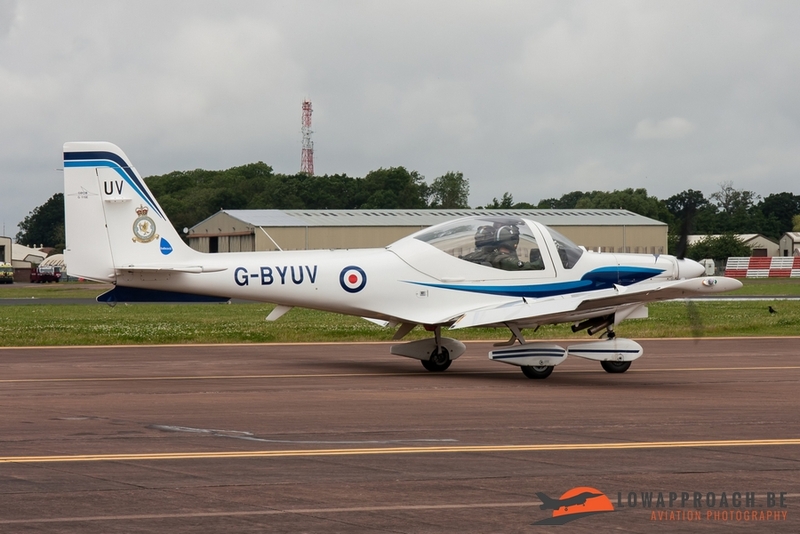 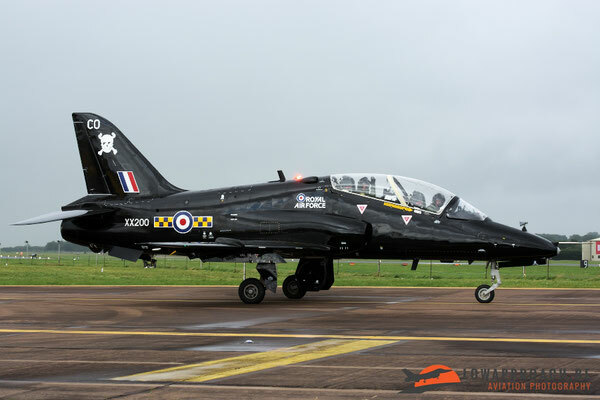 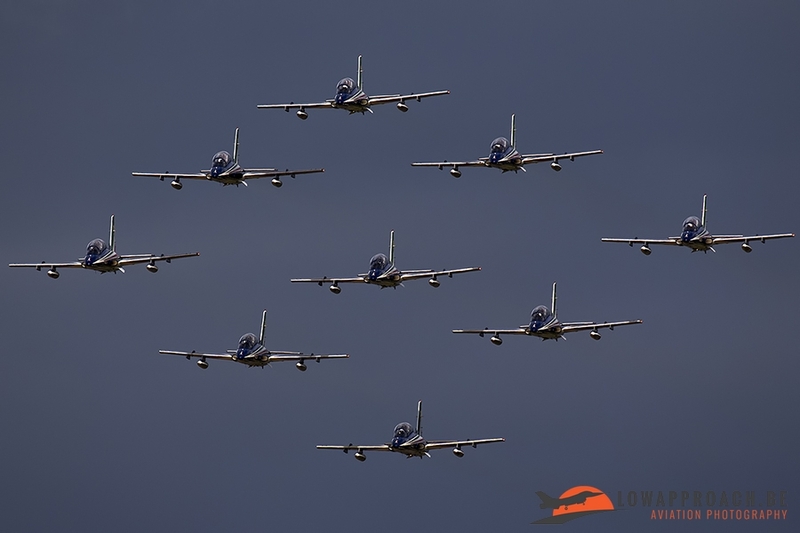 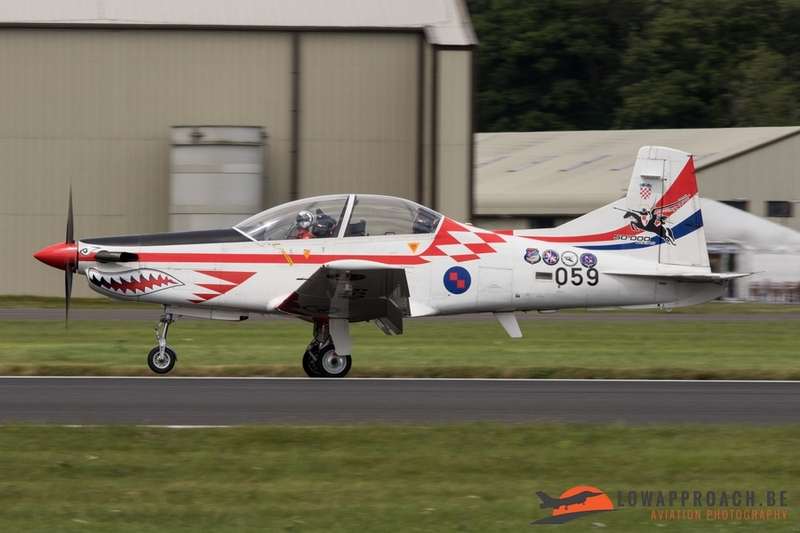 They fly nine BAE Hawk T1 airplanes. 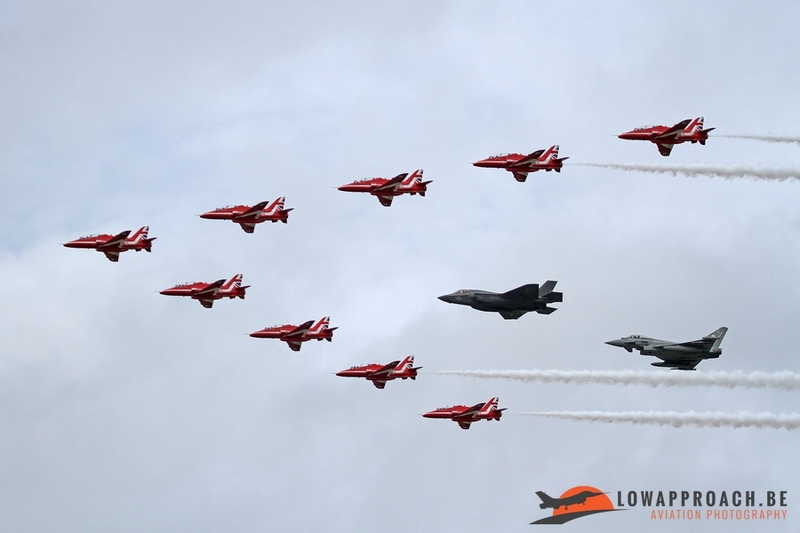 The most well-known formation done by the Red Arrows is their Diamond Nine formation. Almost every year the Red Arrows are doing some formation flights with other participants and that we do like to mention. 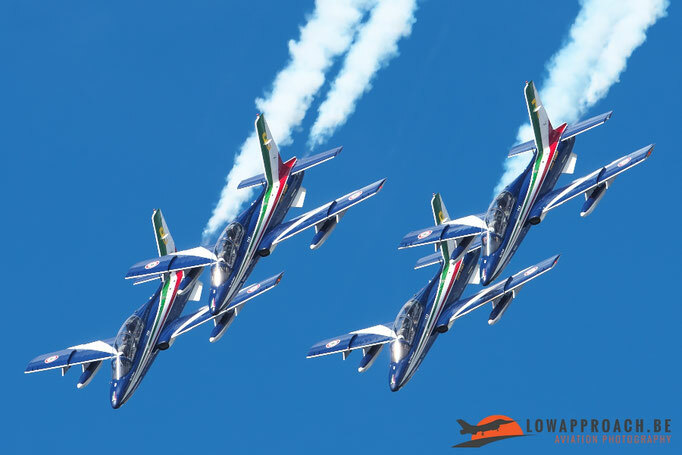 This year it was a formation flight with the F-35B and the EF2000 Eurofighter.The Italian Air Force sent “Il Frecce Tricolori” with their ten Aermacchi MB-339A/PAN. They had the honour to perform as last participant at RIAT 16 and how they did it, with great timing by all formations, they showed us perfection. Zespół Akrobacyjny "ORLIK" (Team Orlik) from the Polish Air Force you don’t see very often outside the border of Poland. 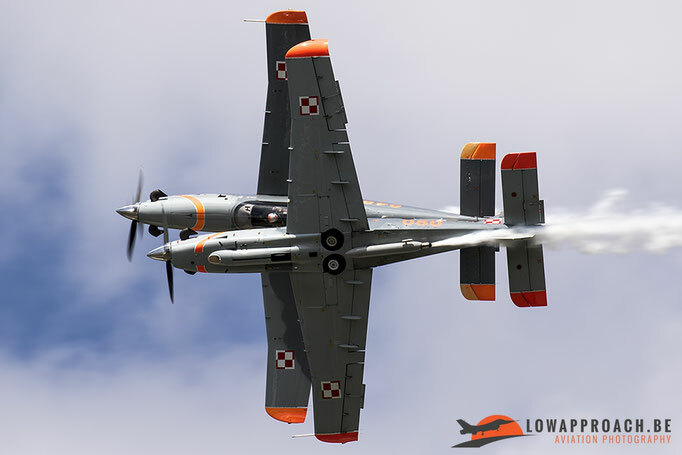 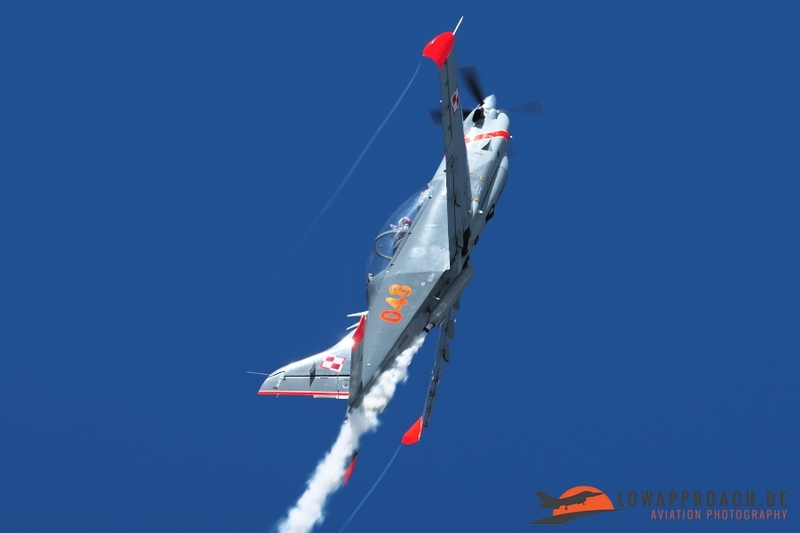 They fly, like the name of the team says, the PZL-130 Orlik. 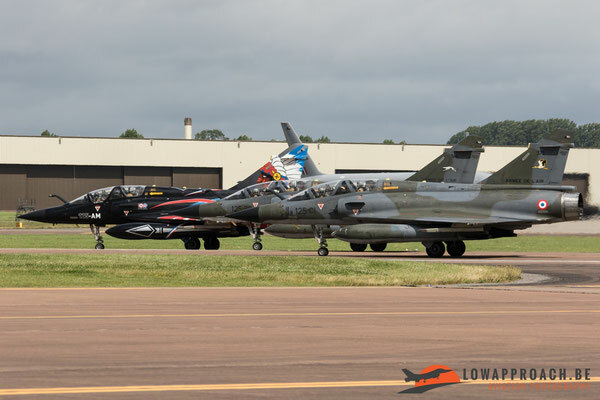 They fly their demo with seven aircraft in about 25 minutes. 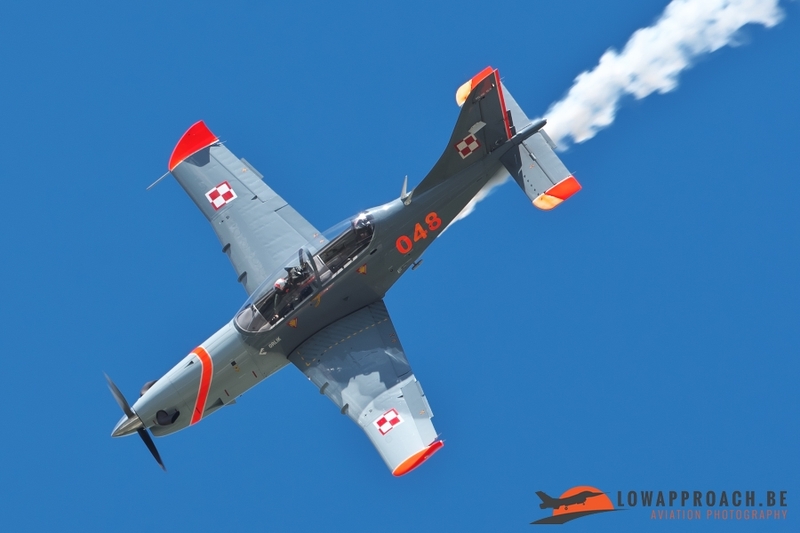 Beside the Polish Orlik Team there was also another participant from Poland on the program. 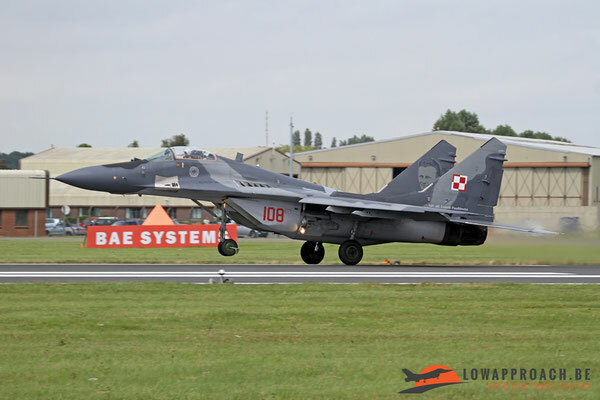 The MiG-29A solo display. 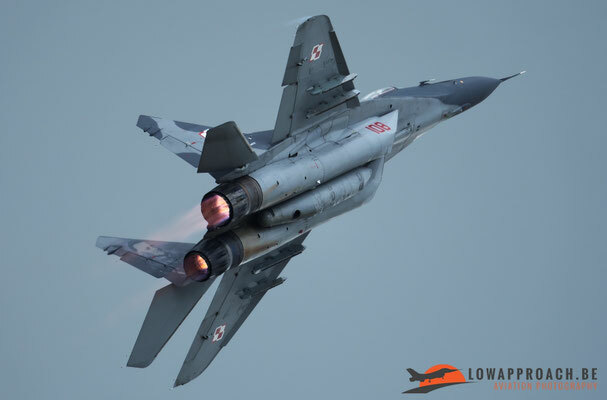 The MiG-29 "Fulcrum" is a twin-engine jet fighter aircraft designed in the Soviet Union and build to counter the F-15 and F-16. Because of the age of this plane more and more nations are sending them on retirement which is sad because it is always nice to see this plane with its distinctive smoketrails in the air during the demo and we’re hoping we still can see this for many more years. 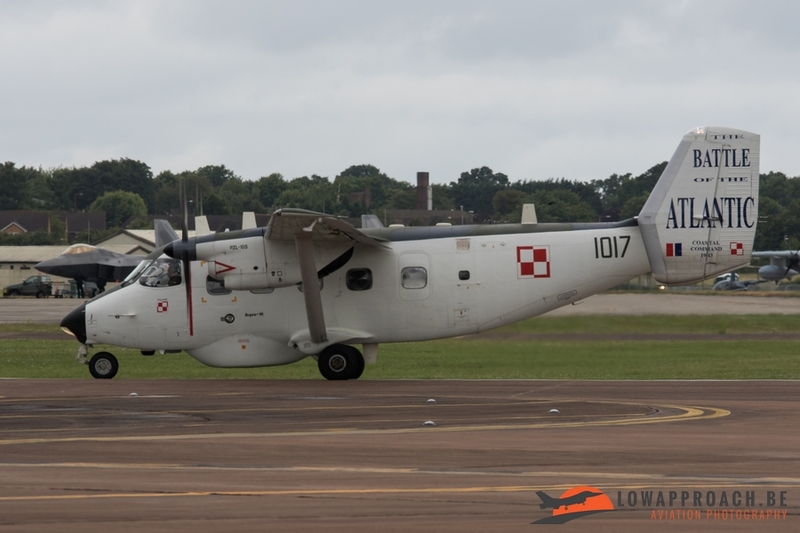 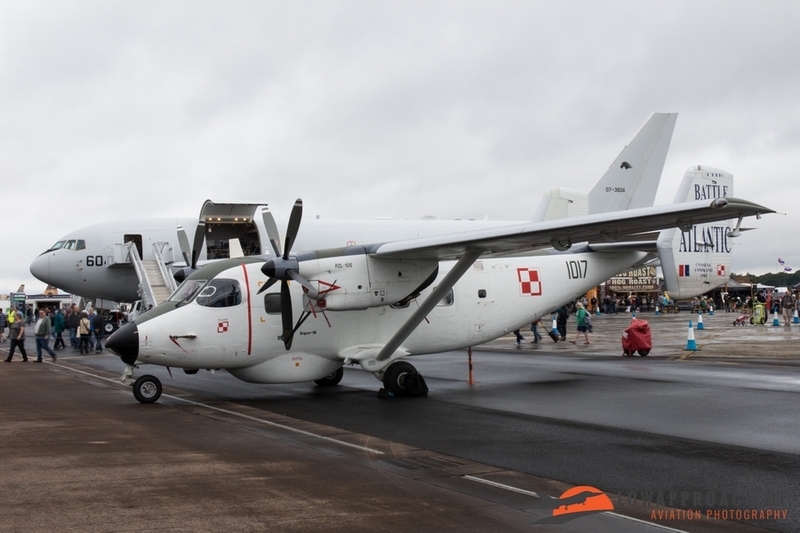 Another Polish airplane, but this time in the static part of the show, was the PZL-Mielec M-28-1R Bryza from the Polish Navy. This airplane is an maritime patrol and reconnaissance airplane and used mainly for sea border patrolling and search and rescue operations. 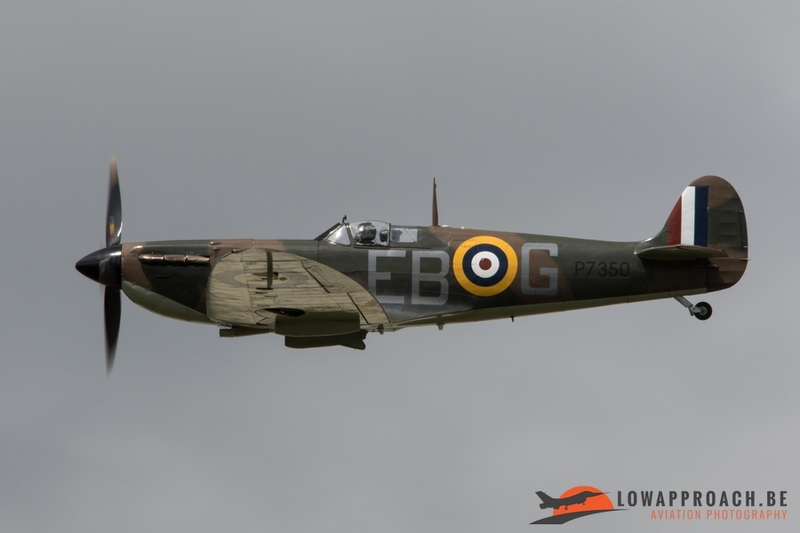 We also want to mention the presence of the BBMF ( Battle of Britain Memorial Flight ) with two planes. 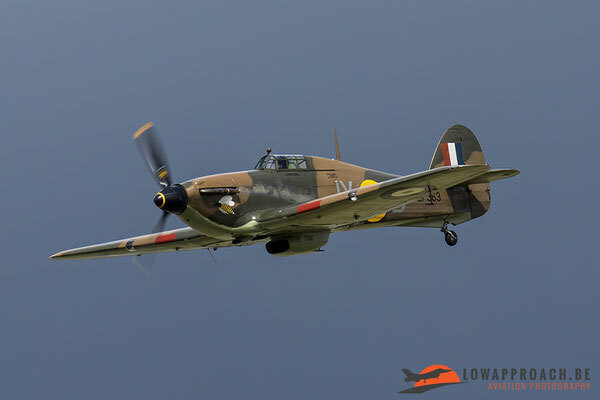 The first plane was the Supermarine Spitfire IIa P7350 and the second the Hawker Hurricane IIc LF363. 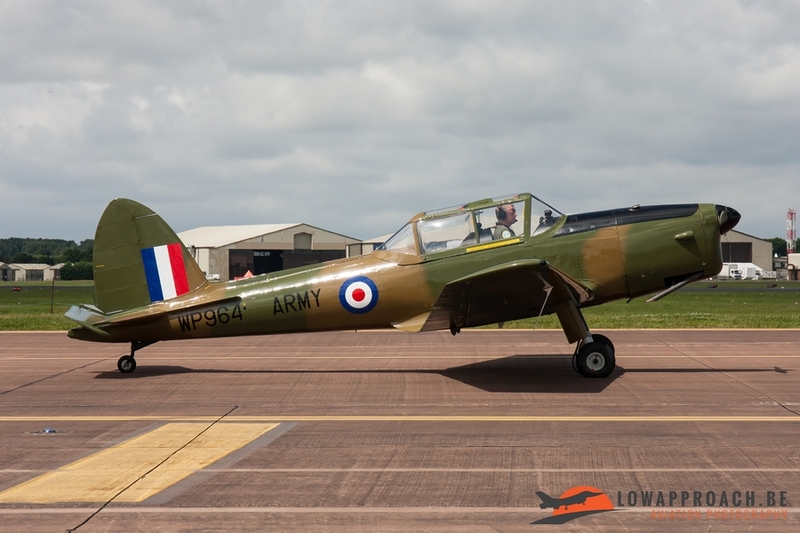 Some other older planes at Fairford were in the form of a nice collection of de Havilland Canada DHC-1 Chipmunks to celebrate the 70th anniversary of this type. 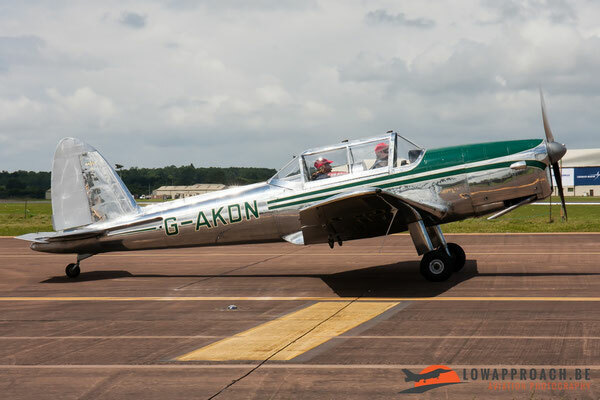 The most special one was the DHC-1A-1 Chipmunk G-AKDN. 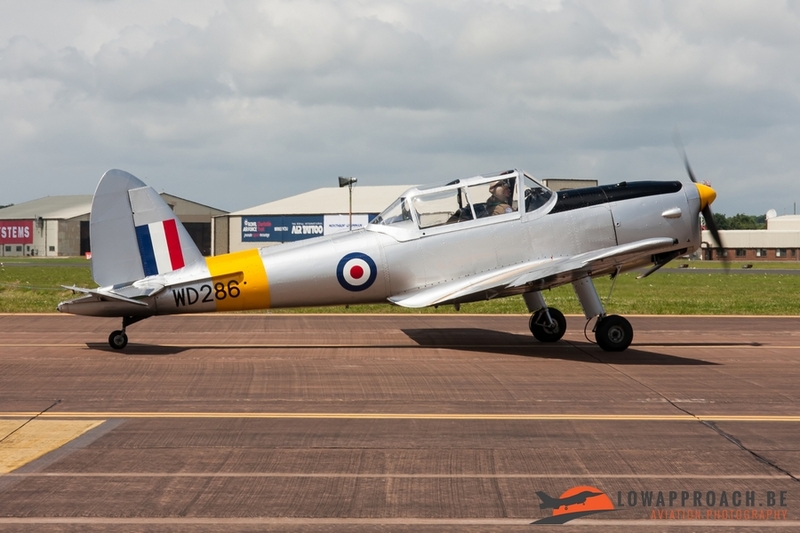 A long time ago, in 1946, two Chipmunks pre-production prototype aircraft were flown from Canada to England for test flying and evaluation at the De Havillands main production site at Hatfield. 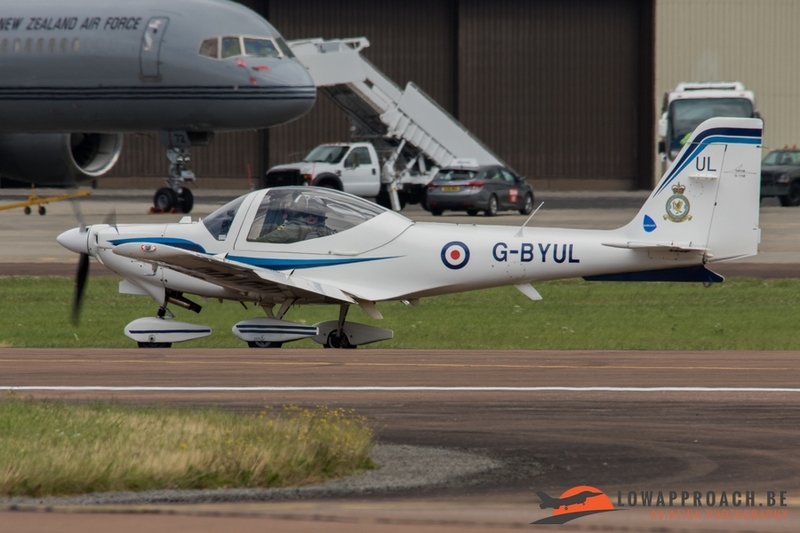 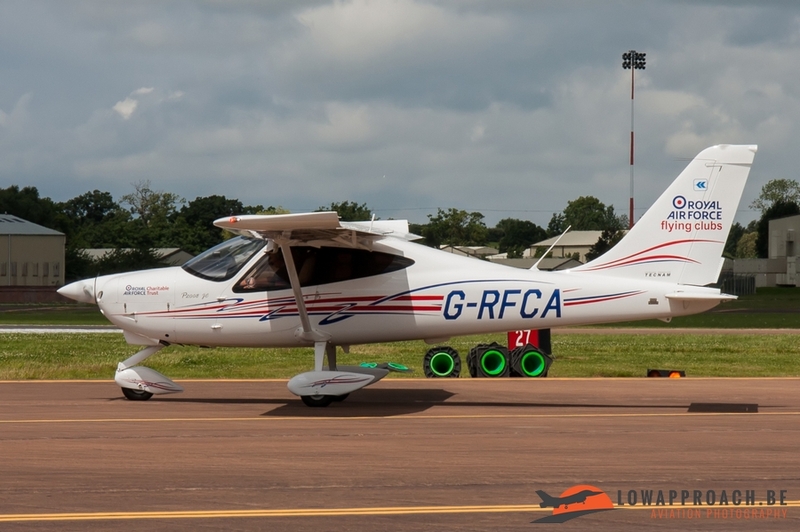 One crashed but the other one, the now civilian registered G-AKDN, has survived. This aircraft is recorded as the oldest flying example of its type in the world! 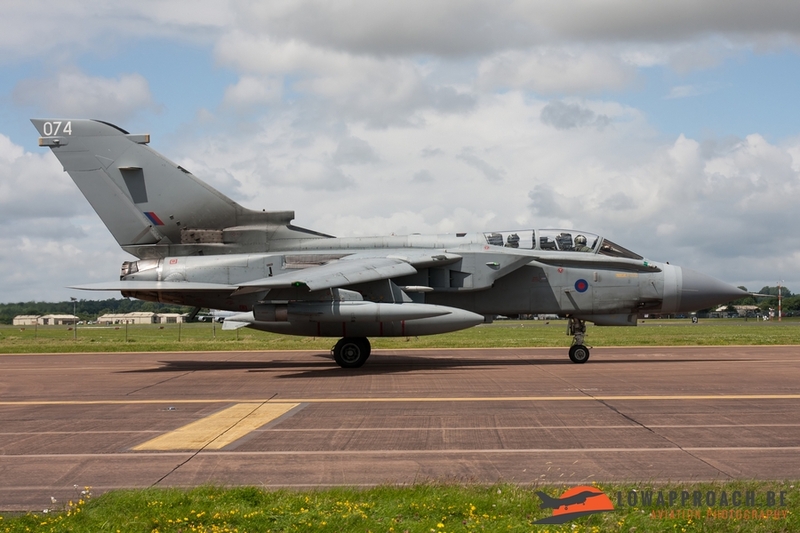 Beside these older airframes there were also more modern fast jet displays presented. 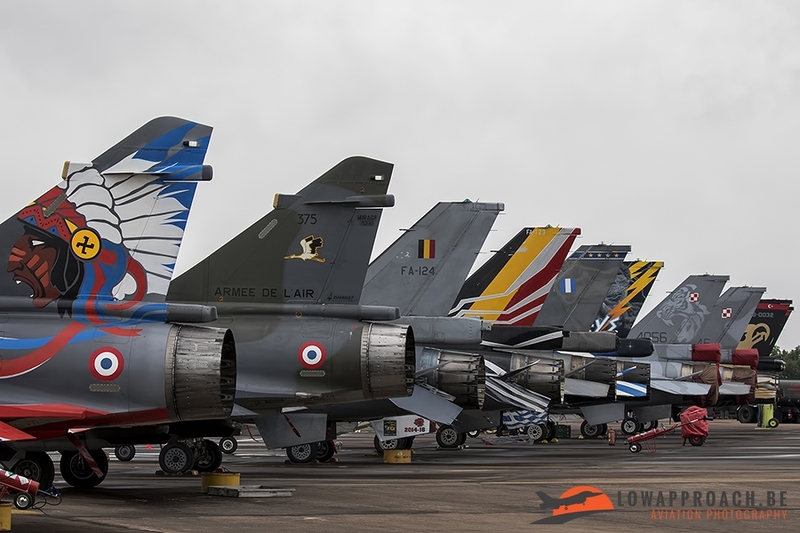 France took part in the flying display with 2 fast jet items. 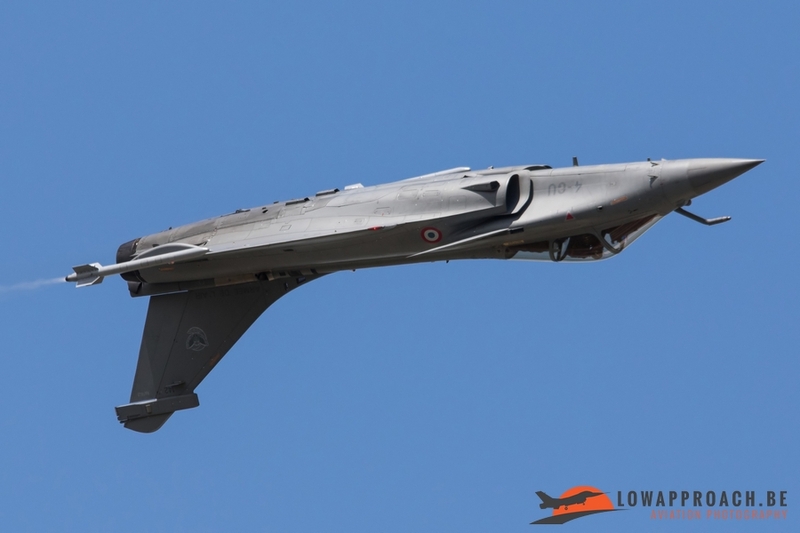 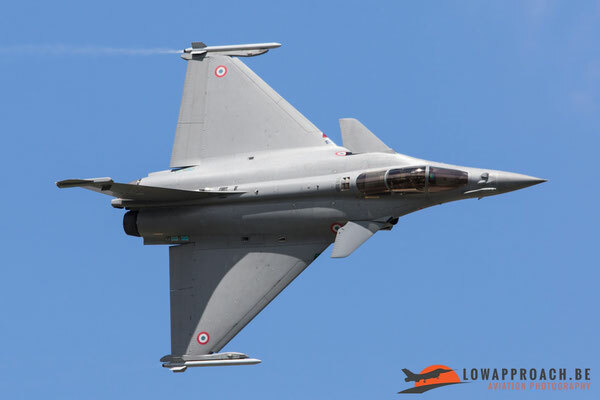 The first one was the Dassault Rafale C Solo Display and after the always magnificent display, the pilot got rewarded as best jet demonstration. 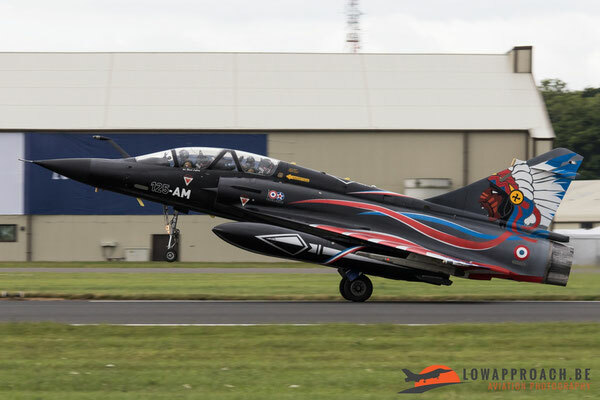 The second presentation of the French Air Force was performed by RAMEX DELTA with their last ever public performance. 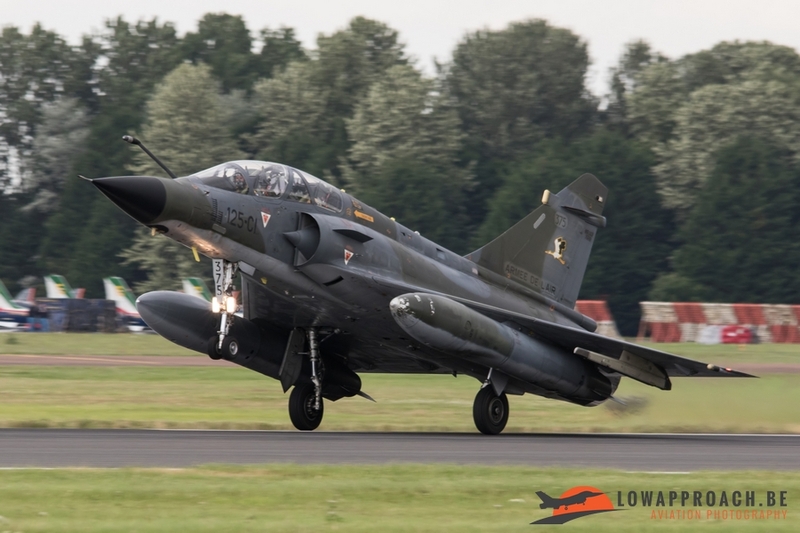 Ramex Delta was a tactical role demonstration display performed by two Mirage 2000N’s. 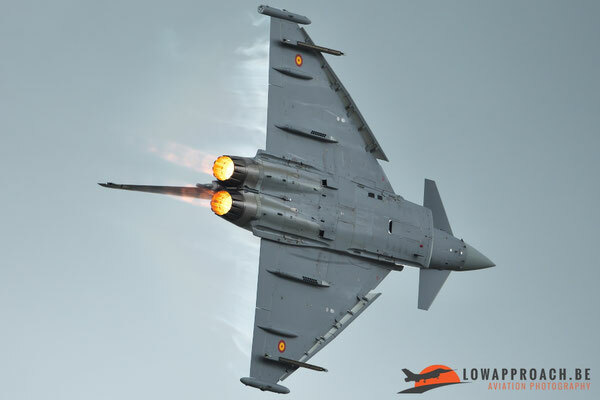 This demonstration of two fighter-bombers combines the main manoeuvres performed in combat and illustrates the capabilities of the aircraft. 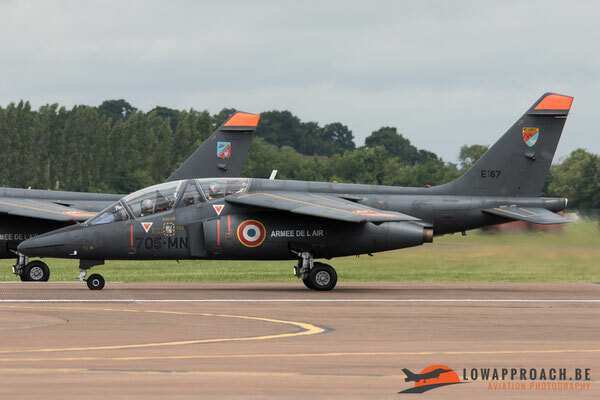 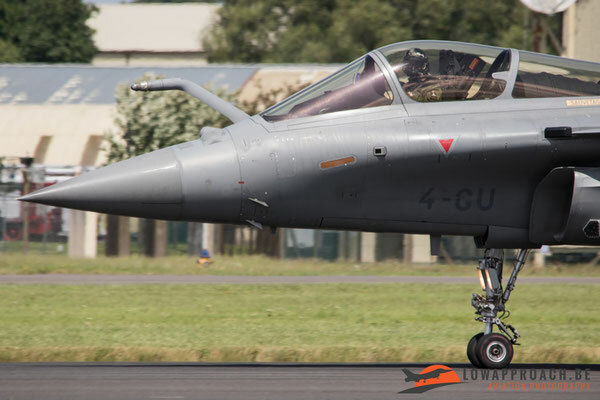 The presentation of the Ramex Delta was provided by personnel of the 2/4 "La Fayette" squadron, a unit located at Istres air base. 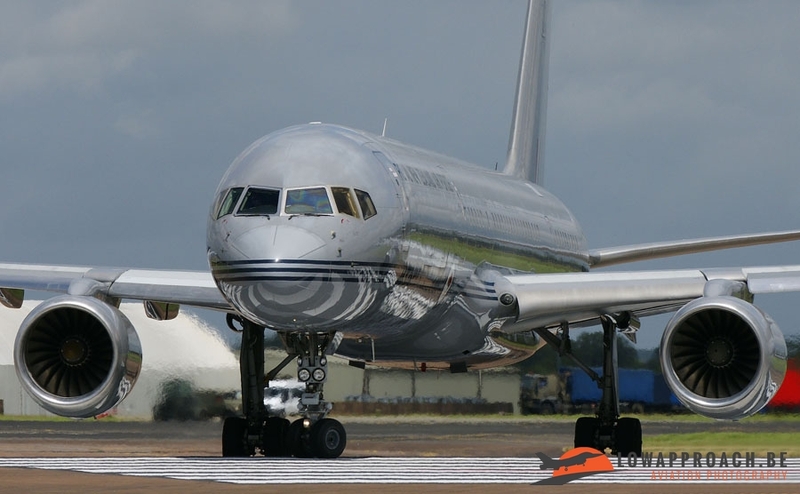 Traditionally, on Monday, it’s departure day for most of the participants. 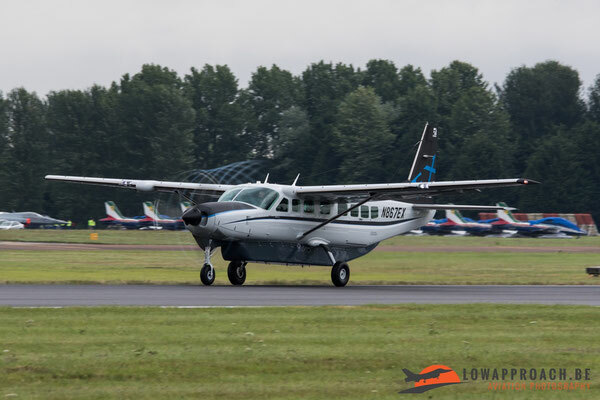 For aviation enthusiasts this also is an interesting day because the airplanes that stood in static can be photographed during taxi and take off. Also during this day some transport is coming in for the demoteams and solo displays. 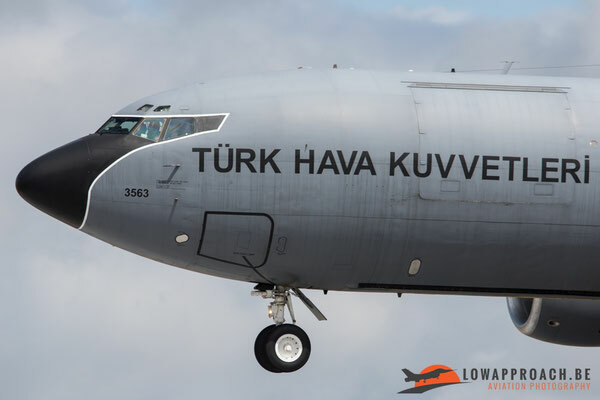 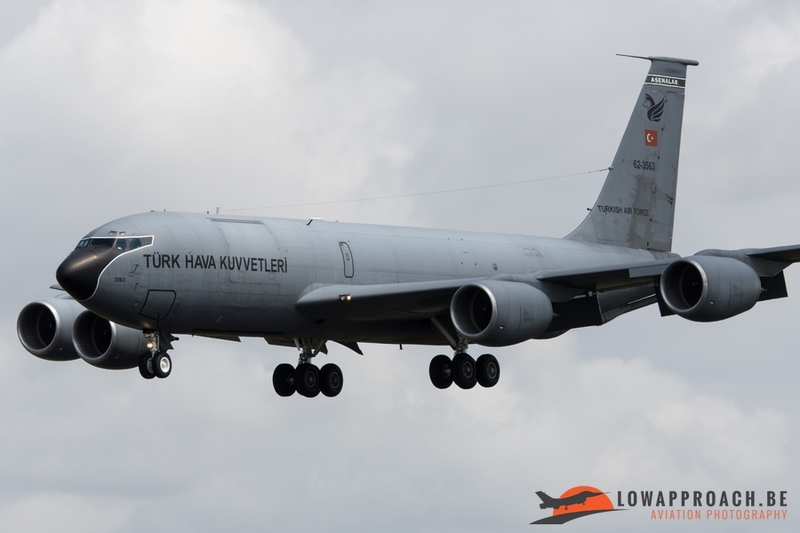 The most special transport plane that came over this year was the Turkish KC-135R that came in as transport for Solo Turk. Below you find another selection of pictures made during RIAT in the three days we attended. This edition could be seen as one of the best in 5 years. 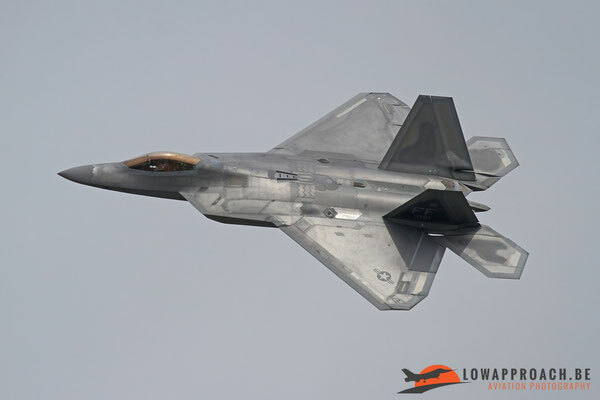 Hopefully 2017 will surpass it again. Photography: Dirk Geuns, Laurent Heyligen, Tim Van den Boer, Andy Patzelt, Lien Lamberts, Levie Meykens, Alain Meykens.